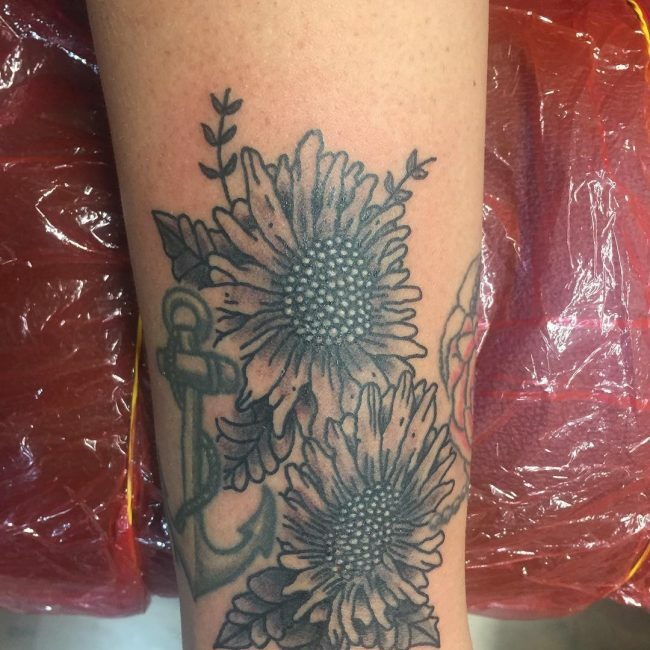 Flower tattoo is undoubtedly one of the most common designs you’ll find today. 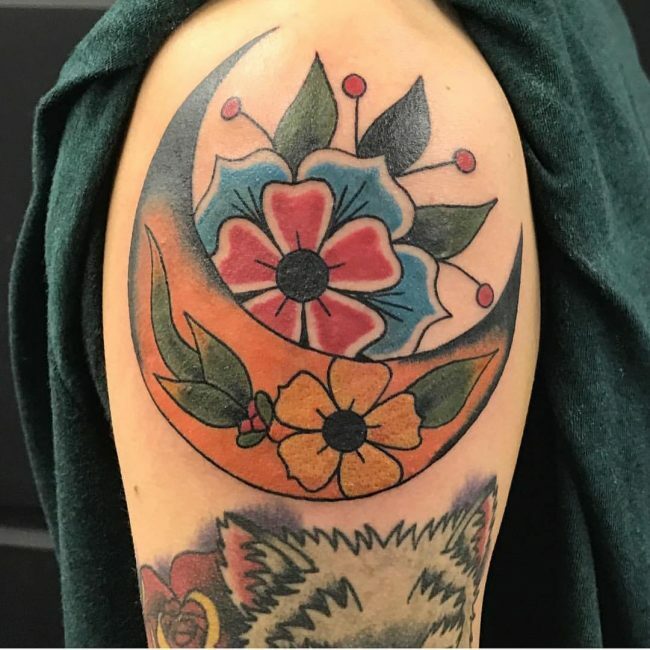 Originally made famous by women from all around the world, tattoos sporting flower patterns aren’t uncommon in men as well today. 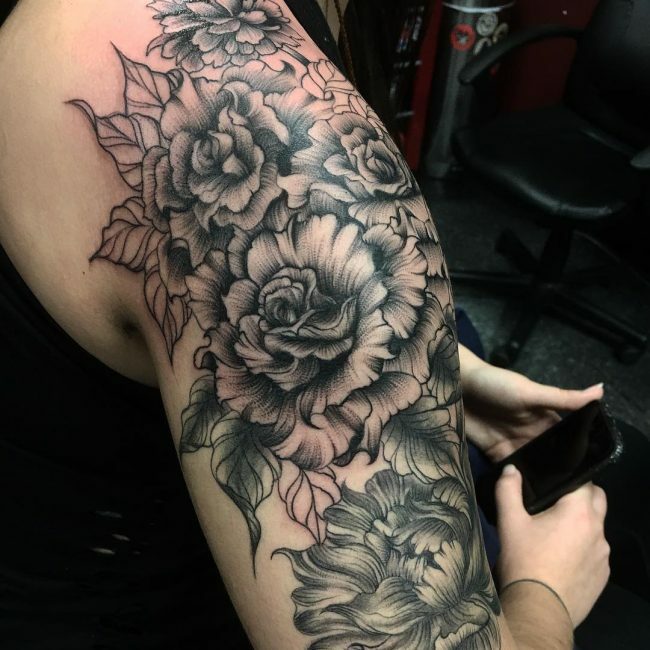 The immense popularity of these tattoos is probably because it is a greater variety of designs that can be done with a floral pattern. 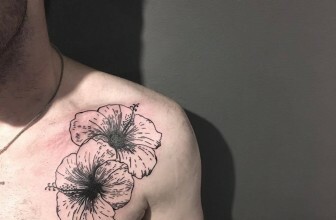 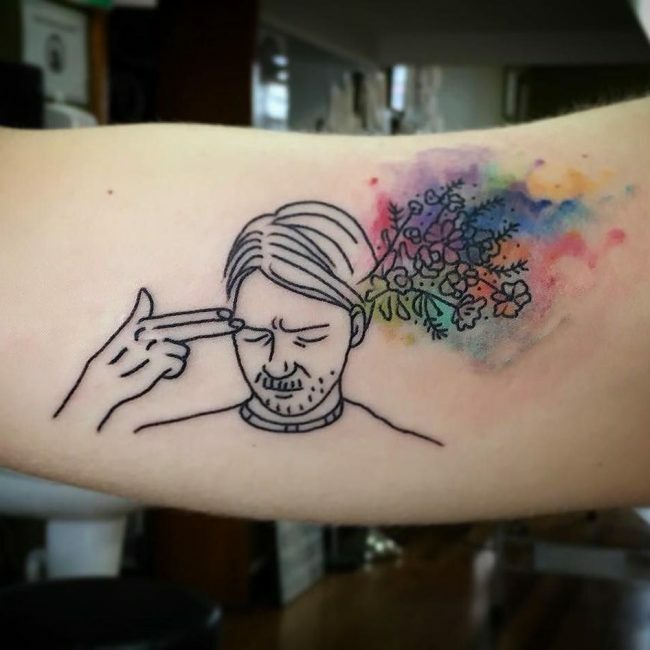 As far as flower tattoo patterns for men are concerned, the modern urban male is not afraid to embrace his feminine side. 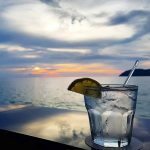 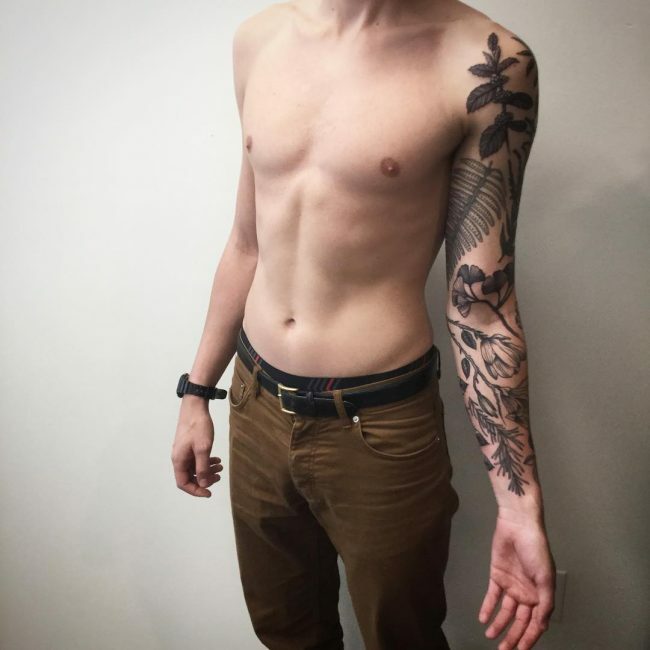 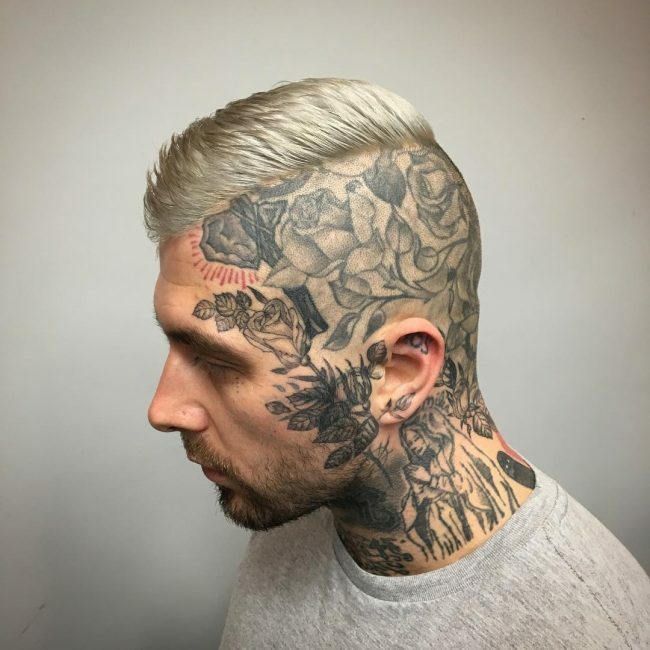 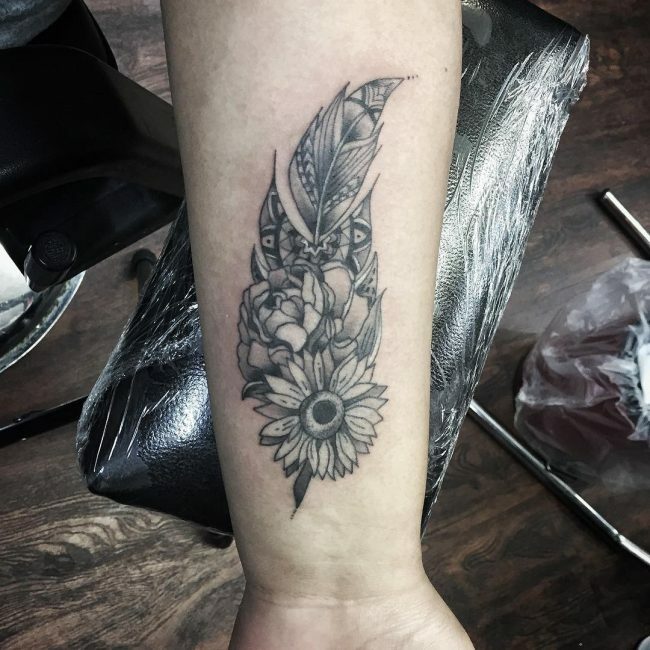 You can be sure about that because men have taken to getting themselves inked with a variety of floral tattoo designs that come with bright colors and elegant patterns, which otherwise would have been considered to be for women. 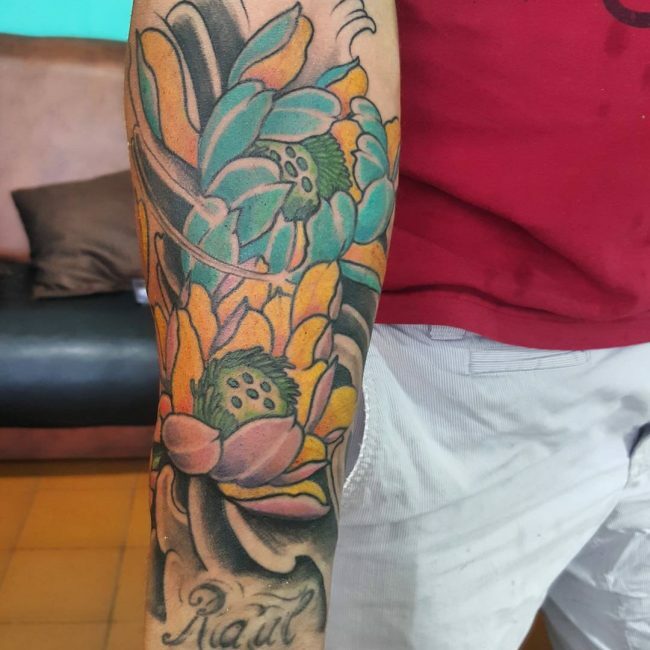 The traditional floral tattoo can have the shape of a variety of different flowers and possibly an ending combination of attractive colors. 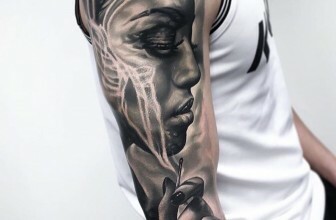 You may also be surprised to find that some tattoos of this type are made with black ink, or in different shades of black. 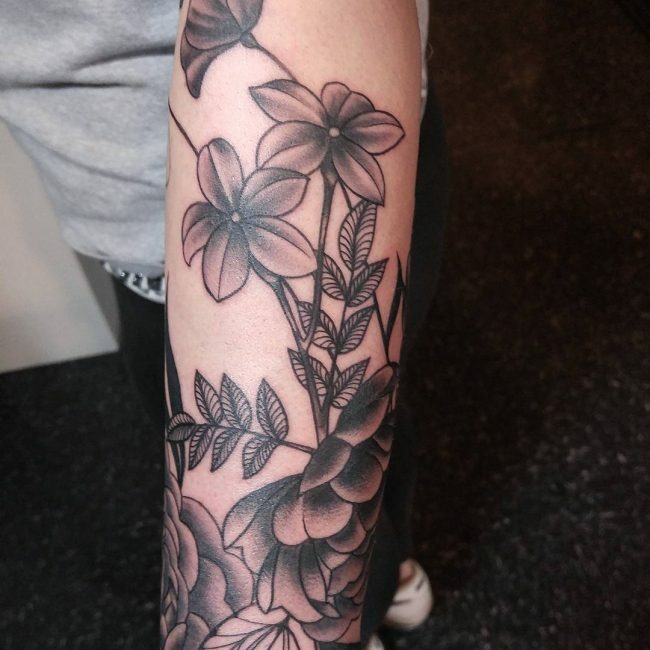 What’s even more astonishing is the fact that one can make thousands of designs based on just one flower. 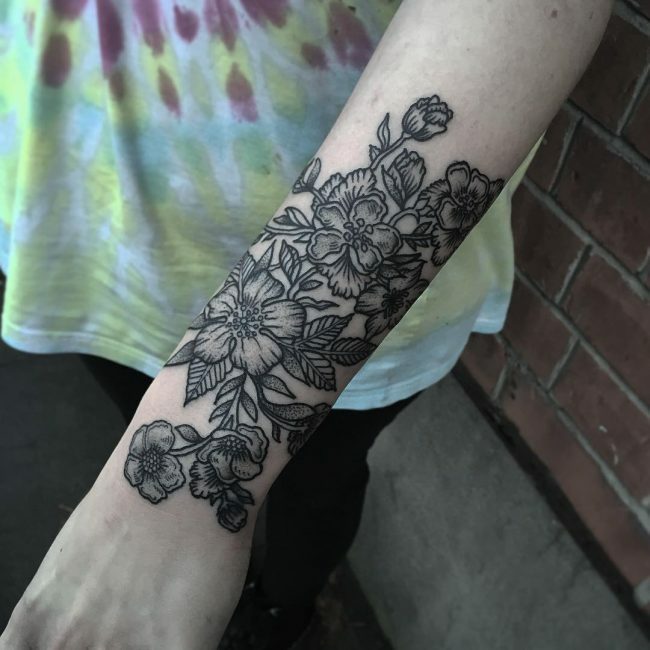 Over time, more and more people have learned how to appreciate flower patterns and flower tattoos have thus become hugely popular. 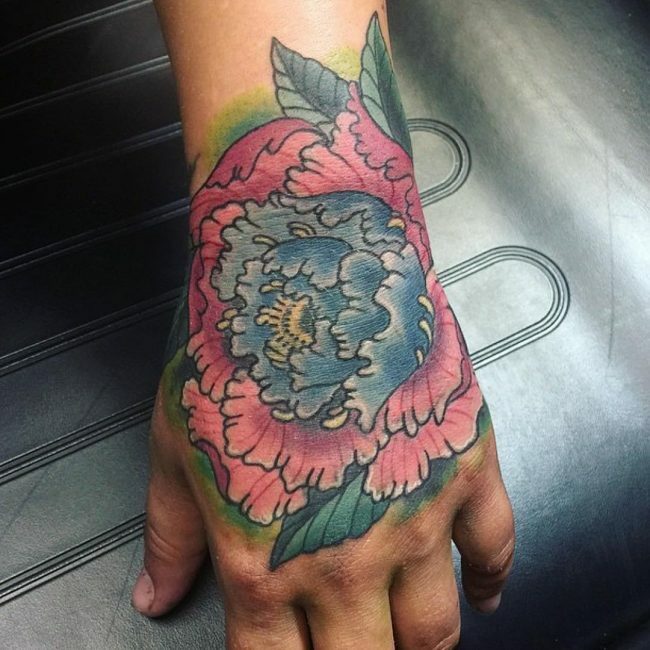 Of all the native traditions, perhaps the Japanese flower designs are the most oldest and prominent. 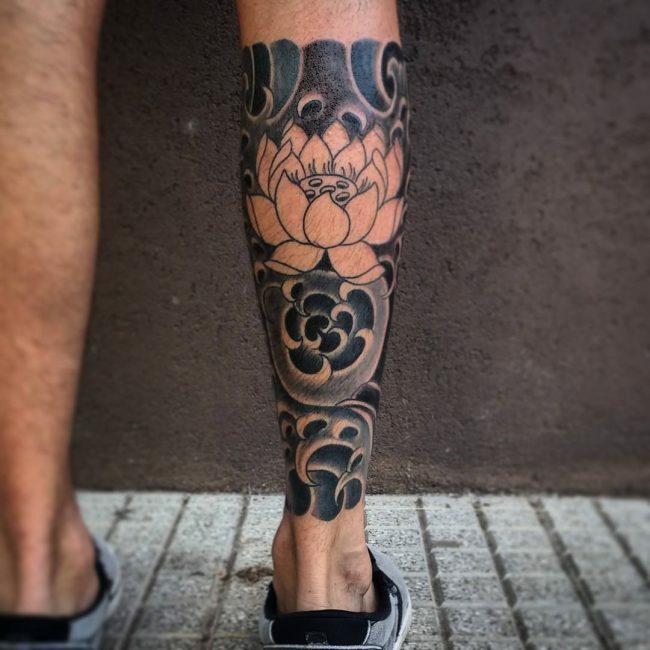 Similar to other things in the Japanese culture, these tattoos are also imbued with significance and meaning that is one of the causes of their rise in prominence. 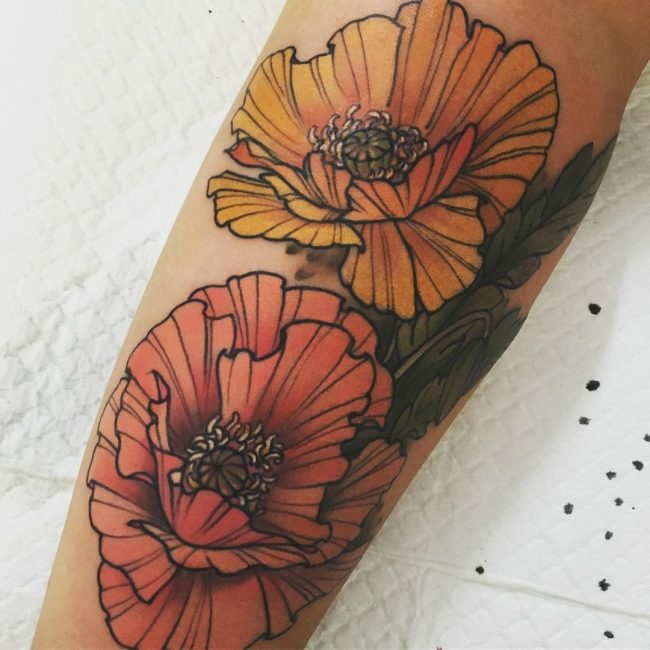 When speaking of meaning, certain flowers are more common in certain parts of the world due to the fact that popularity of flowers changes according to geography as well. 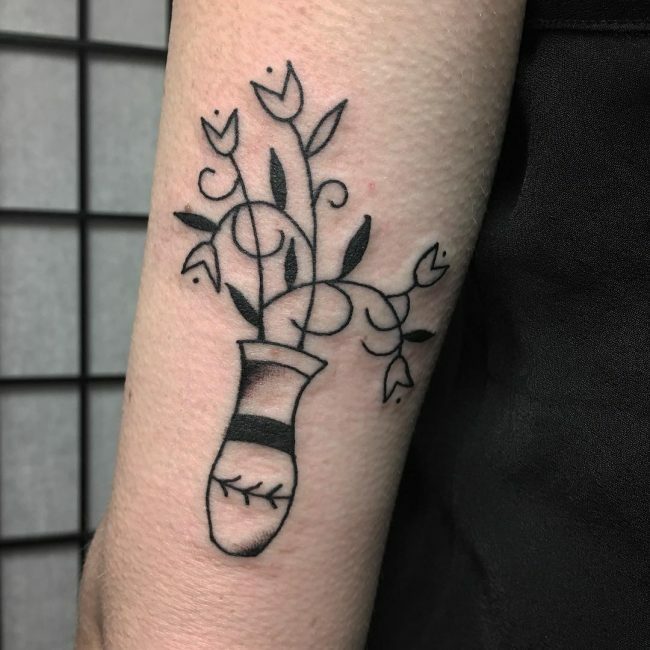 Moreover, the same type of flowers can also have different meanings for people residing in different places but sometimes with the exception of a common theme. 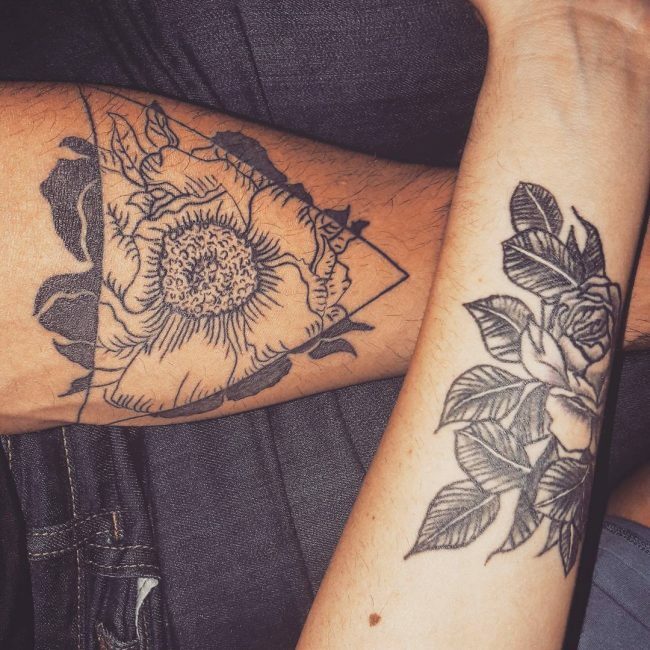 The most widespread of meaning that most flower tattoos exist to convey are love, vitality, life, tenderness, femininity, faithfulness, loyalty, etc. 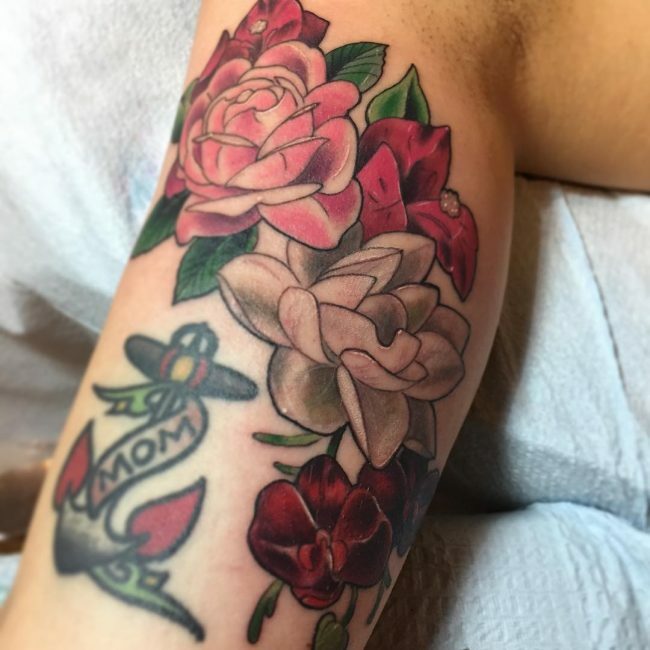 As you can understand that all of these are positive emotions and traits that can be represented best by none other than a certain type of flower design. 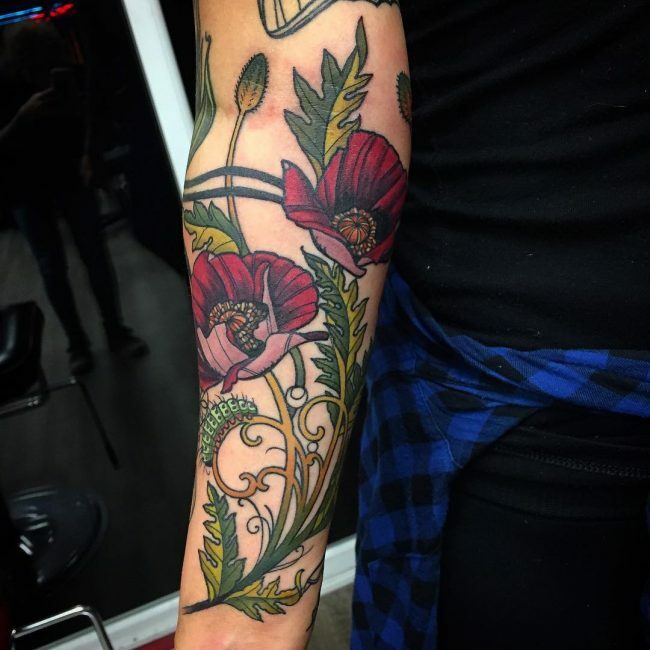 However, since flowers have been thoroughly used in the making of ornaments and other elements in numerous cultures and throughout history, it is difficult to determine a single meaning for an individual floral pattern. 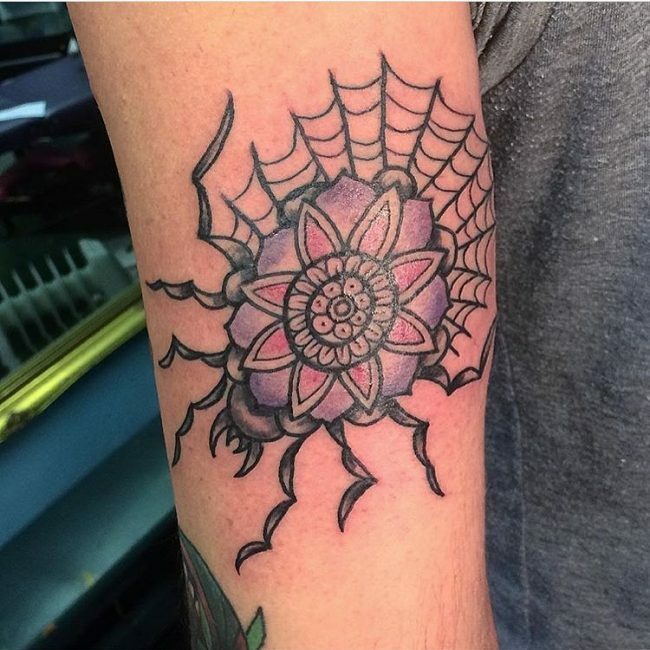 There are in some cultures that associate the blooming flower with the essence of life and rise of the sun. 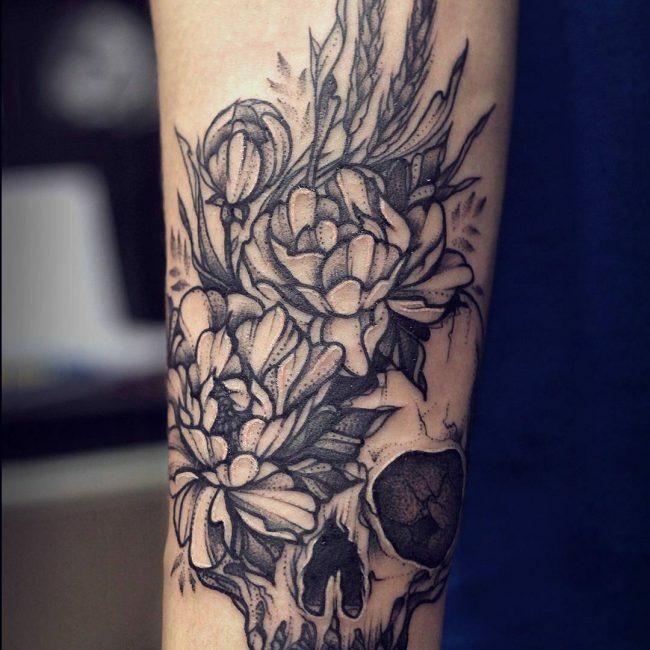 Others also believe that flowers symbolize rebirth as most of them are born in spring but fade away during winter and born again in the next spring as well. 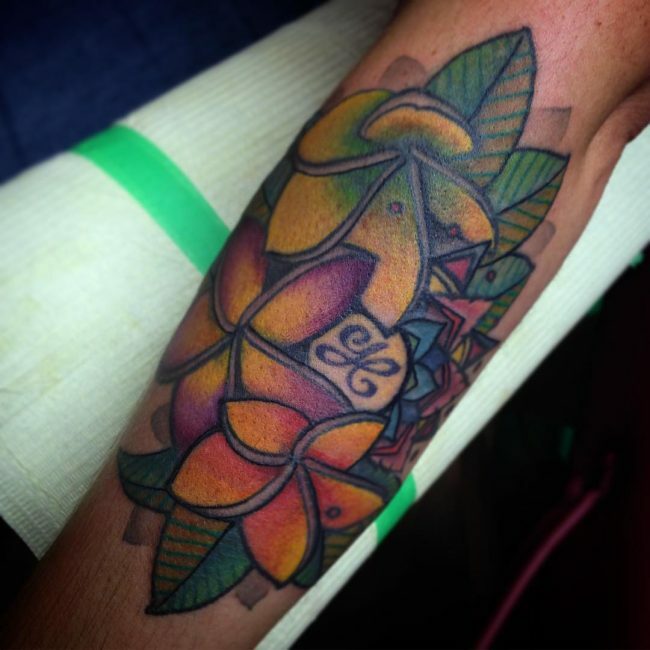 The symbolic meaning of a flower also depends on its color, which may give it a positive or a negative meaning. 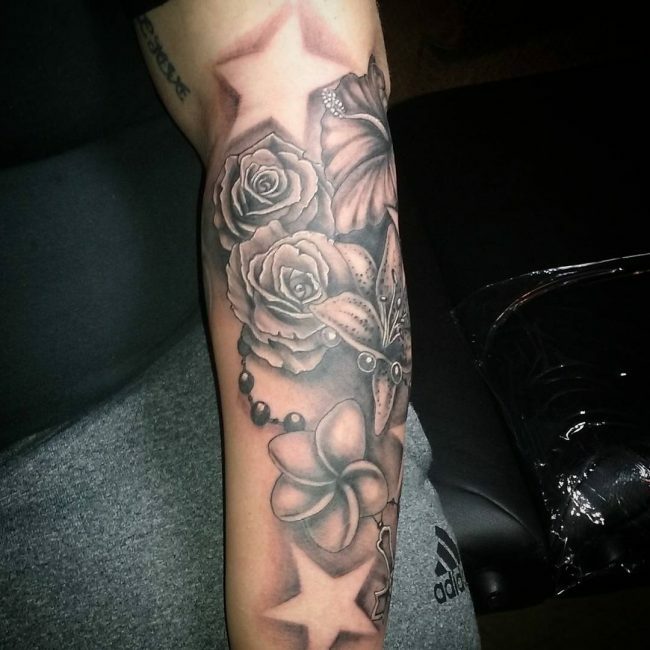 For example, white roses in Caucasian culture signify purity whereas dark red roses mean longing and love. 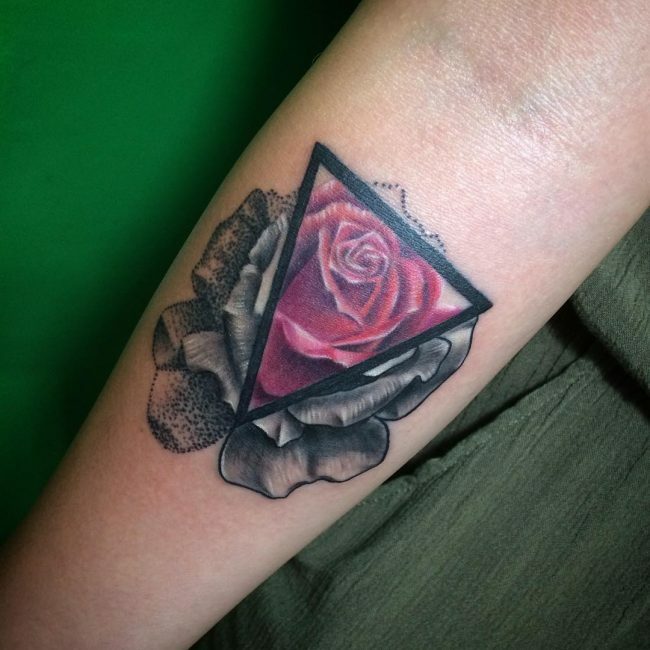 Black Roses can mean a damaged soul whereas pink roses often serve as a symbol of fragility. 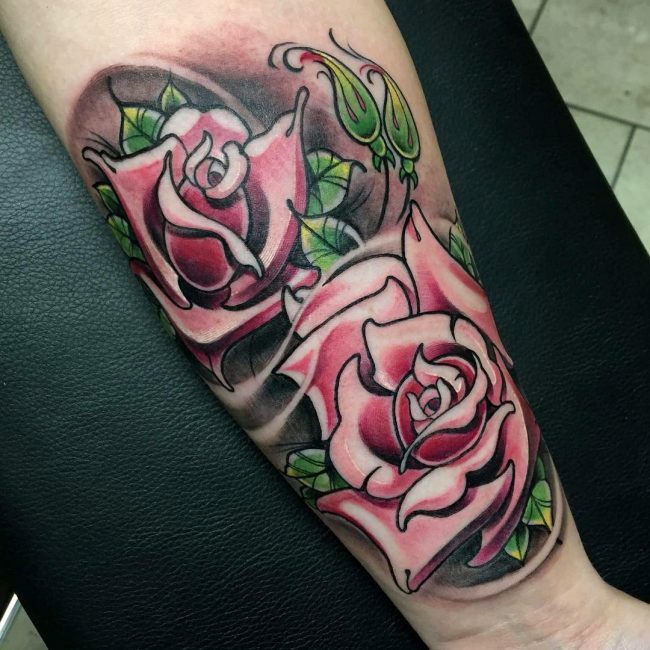 Whatever rose design and color you may choose, be sure to consult with your artist before getting inked. 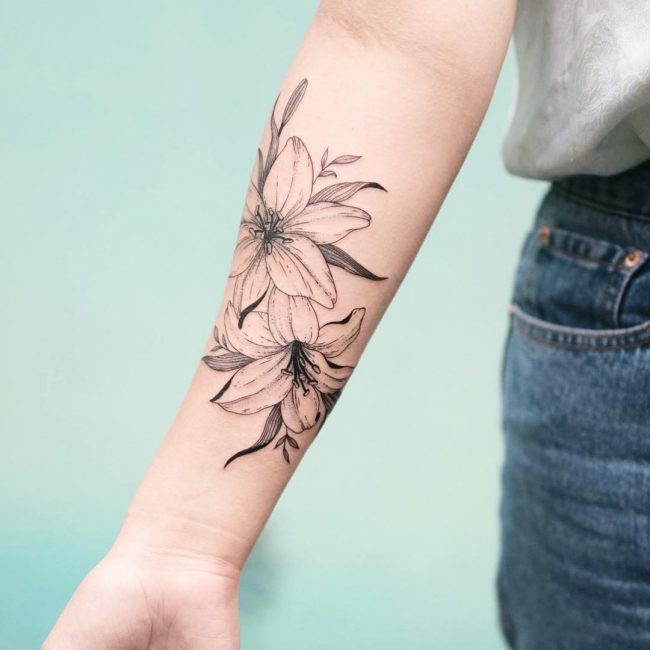 Flower tattoos can come in an unending number of designs, which may include a single flower figure or a combination of flowers. 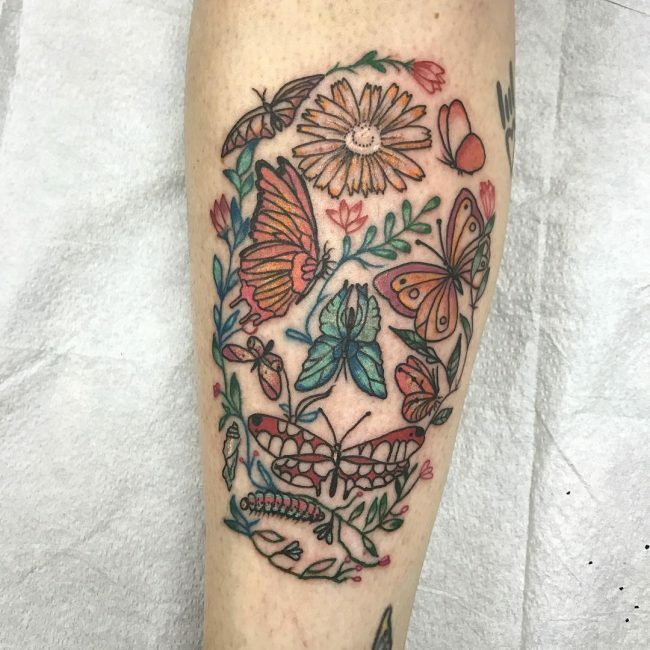 It can also be flowers along with butterflies, hummingbirds, skulls; you name it. 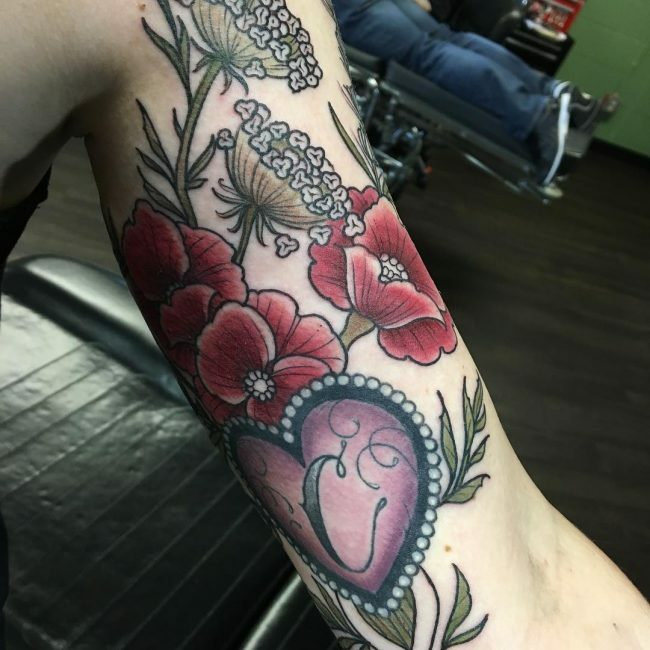 The size and place of where it is to be in the body may vary from subtle and delicate to bolder and much brighter color designs. 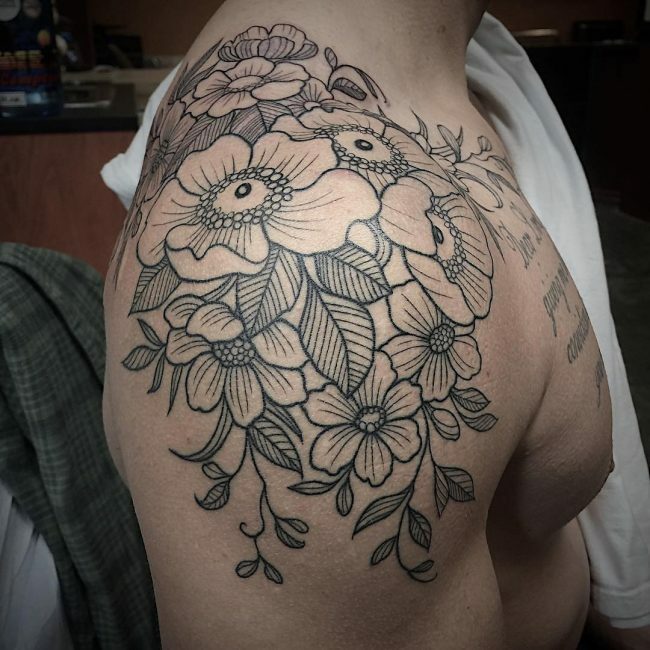 Men can get flower tattoos anywhere on their body and in any size depending on their taste and preferences. 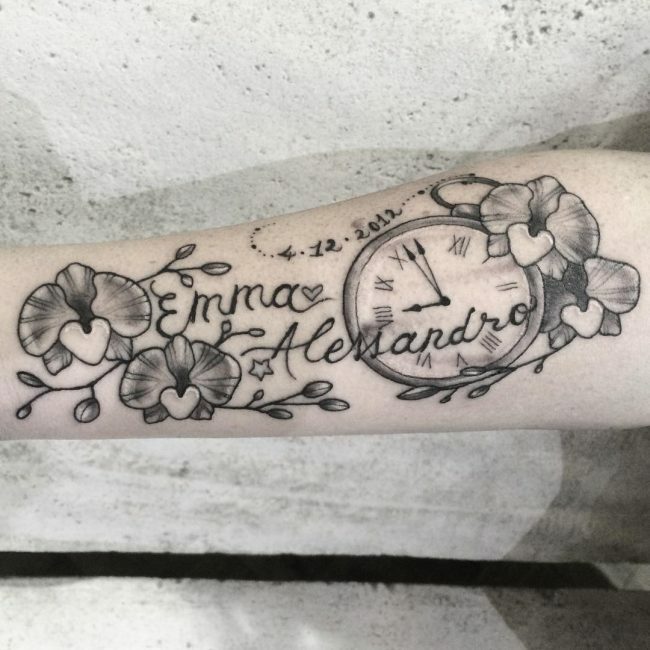 However, the arms have always been the most popular choice of getting inked, and this case is no different. 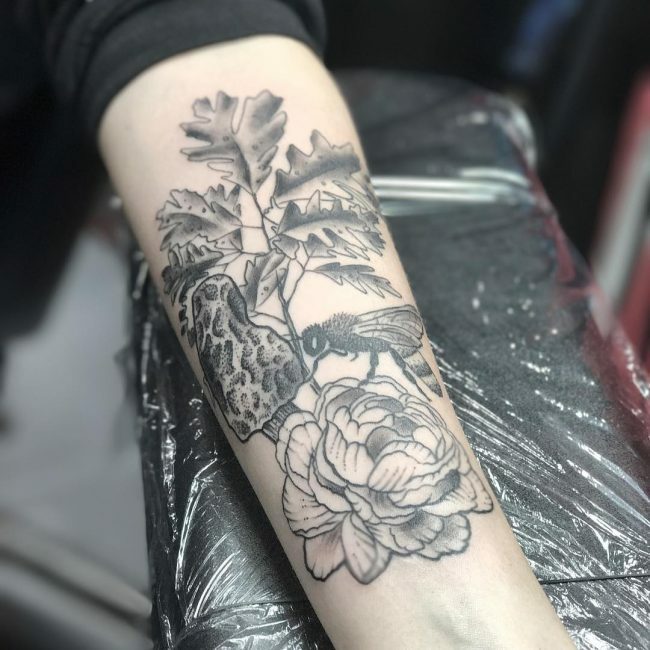 Speaking of popularity, there is perhaps no flower that is as popular as Rose and Lotus in the context of tattoo designs. 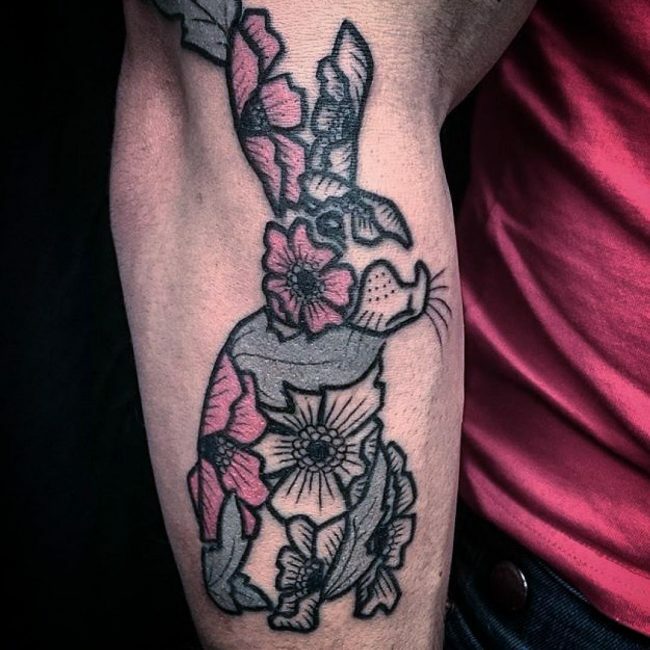 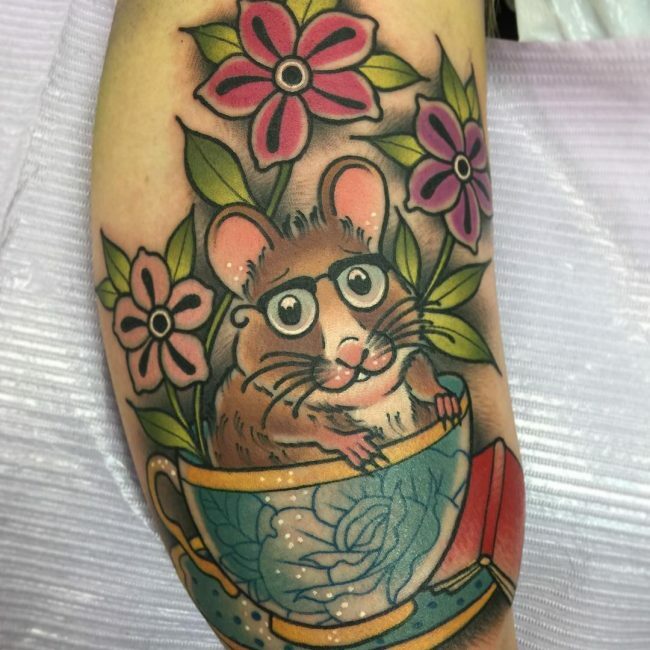 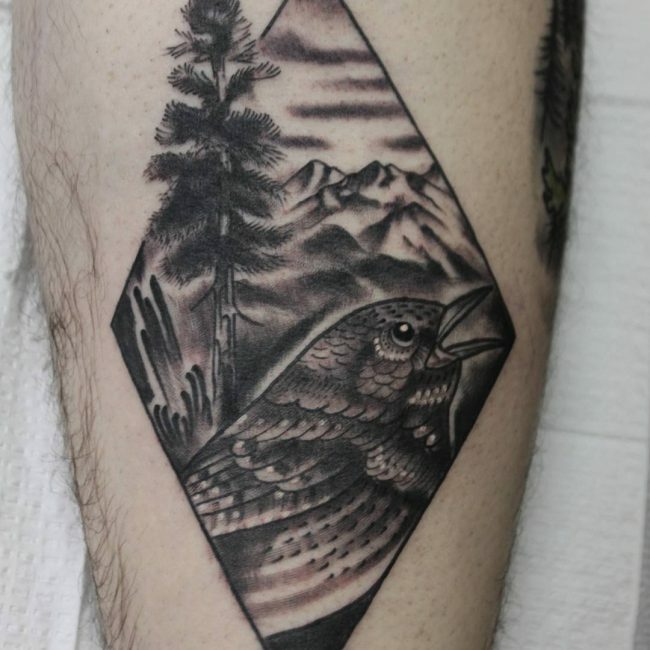 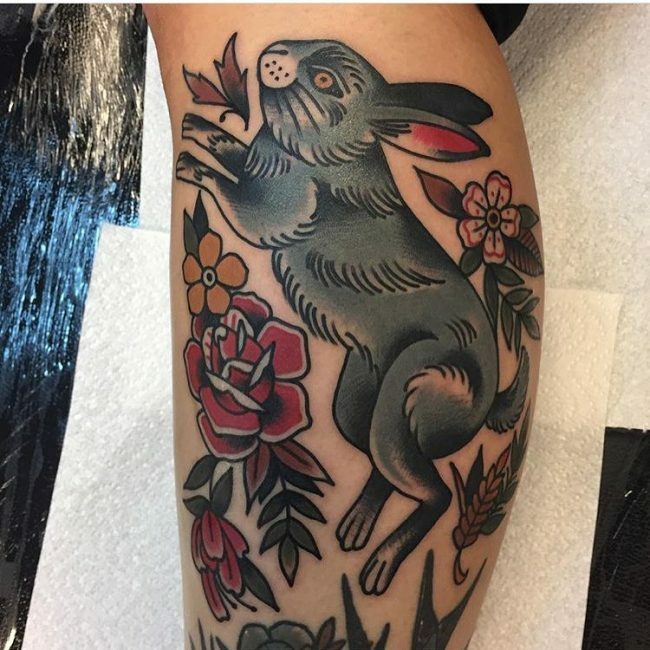 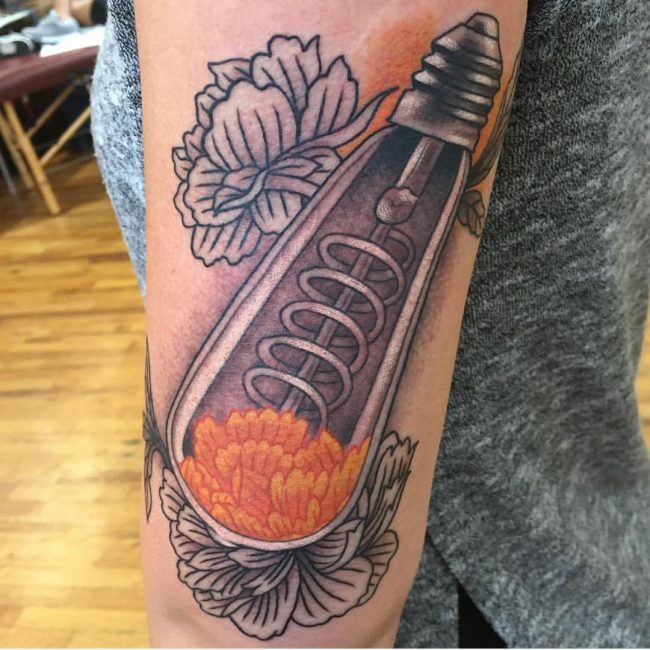 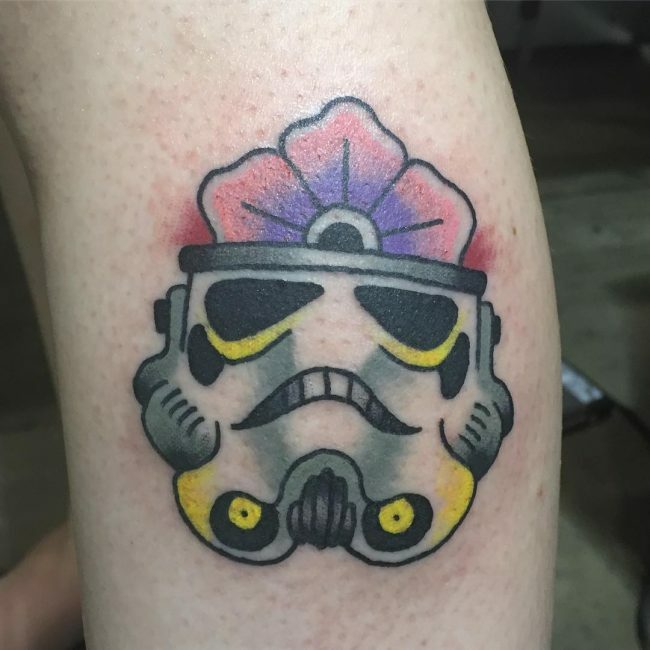 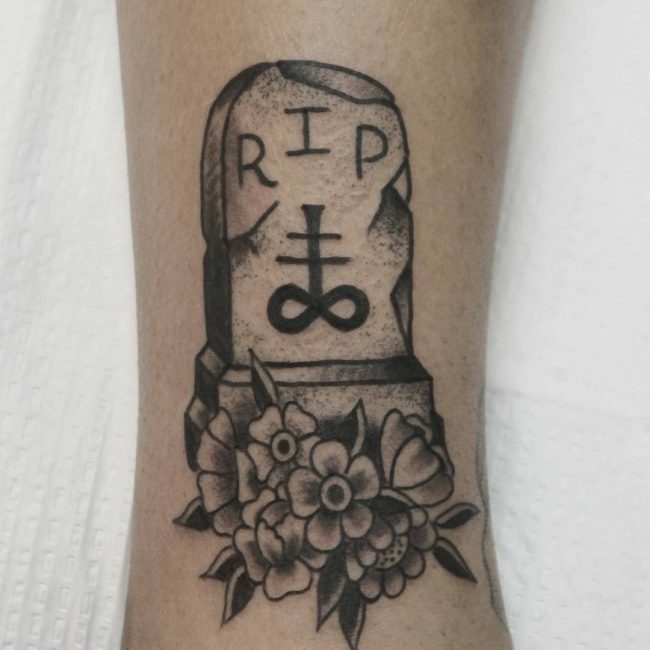 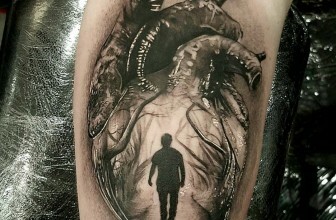 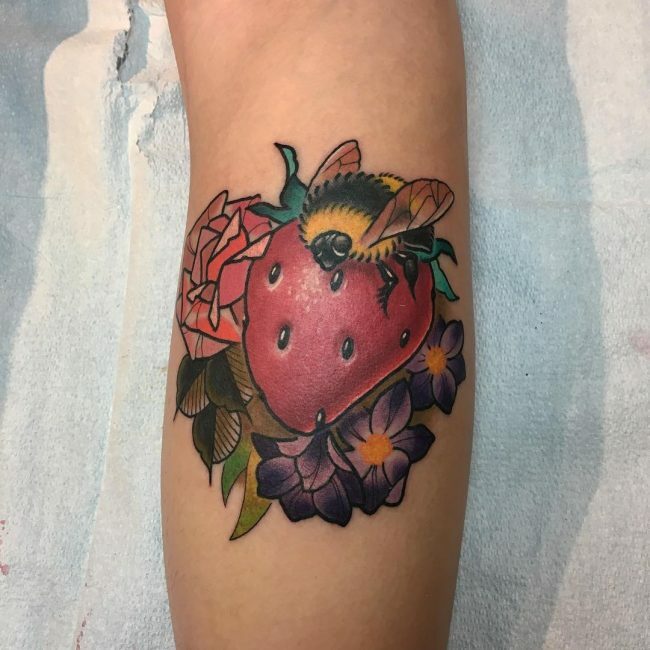 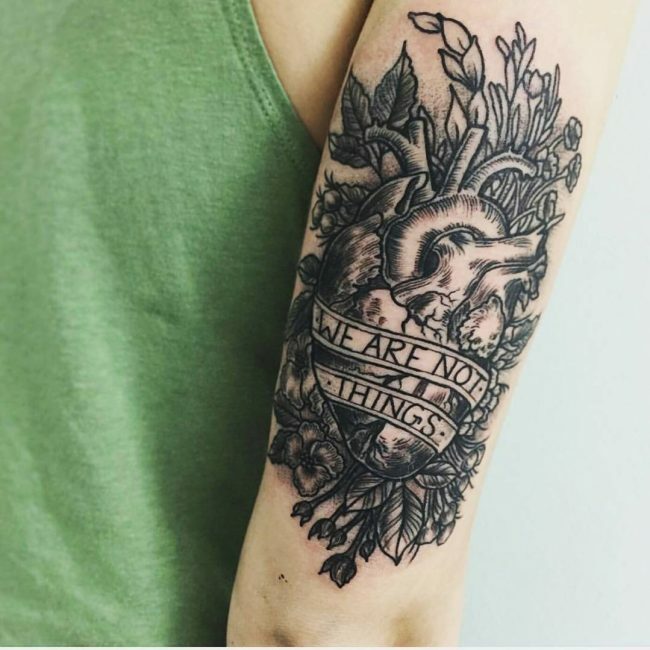 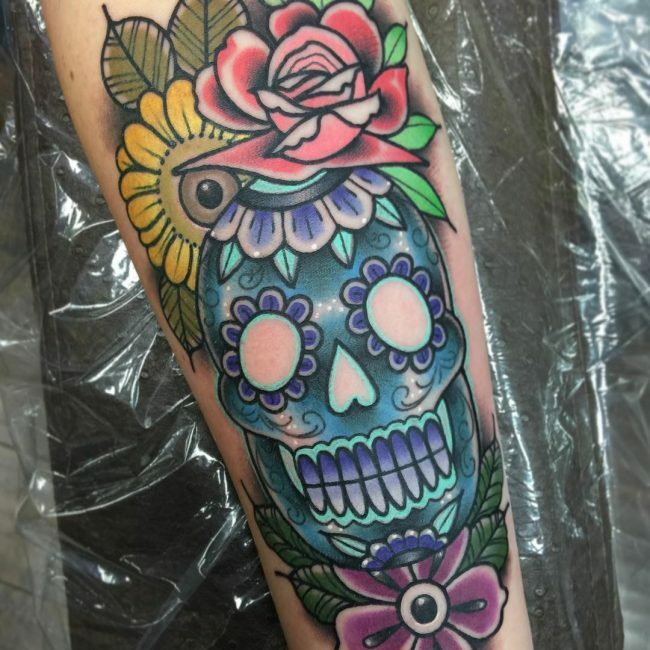 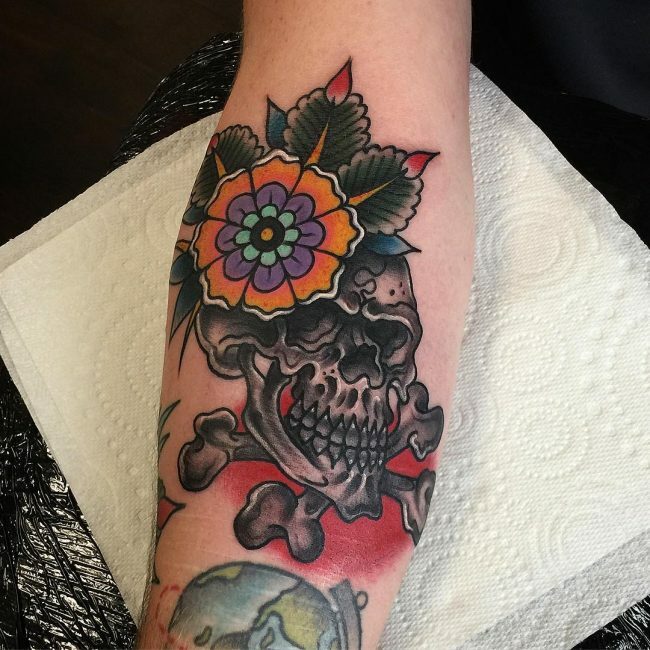 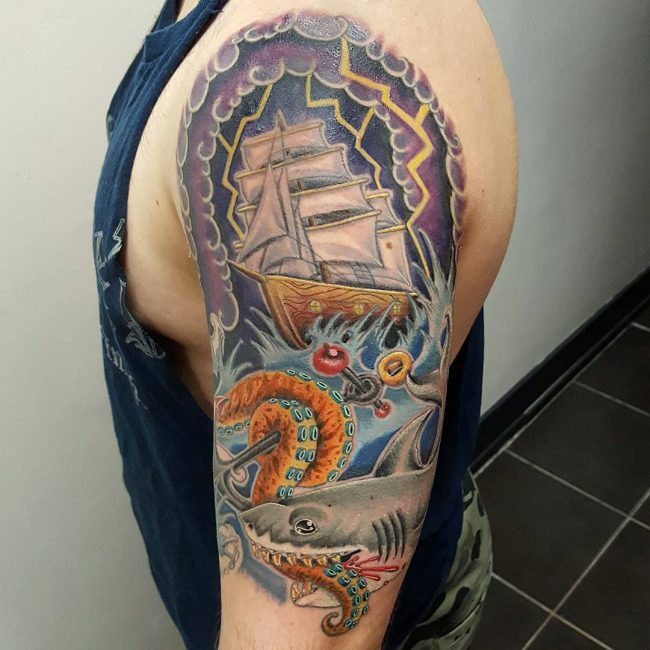 While it’s still not clear what exactly led to the enormous rise to become a favorite, they are indeed a choice of hundreds and thousands of tattoo artists from around the world. 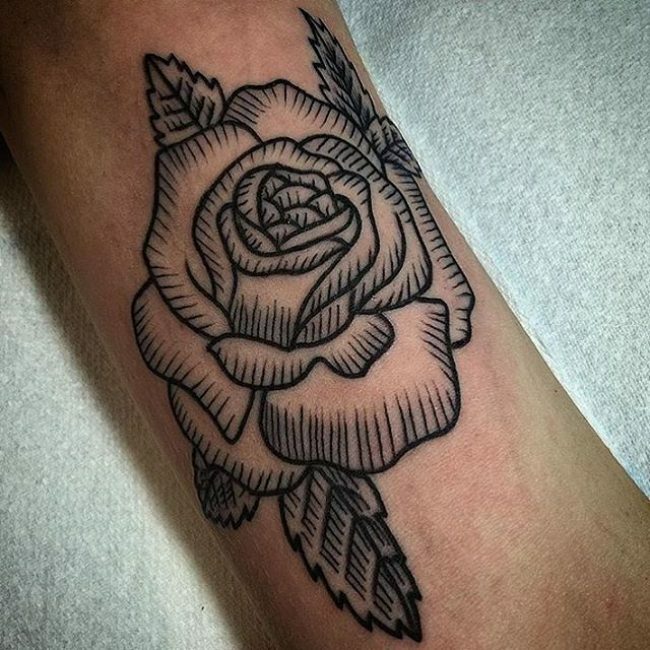 The rose is undoubtedly considered as one of the most beautiful creations of nature that serve as a symbolism for love. 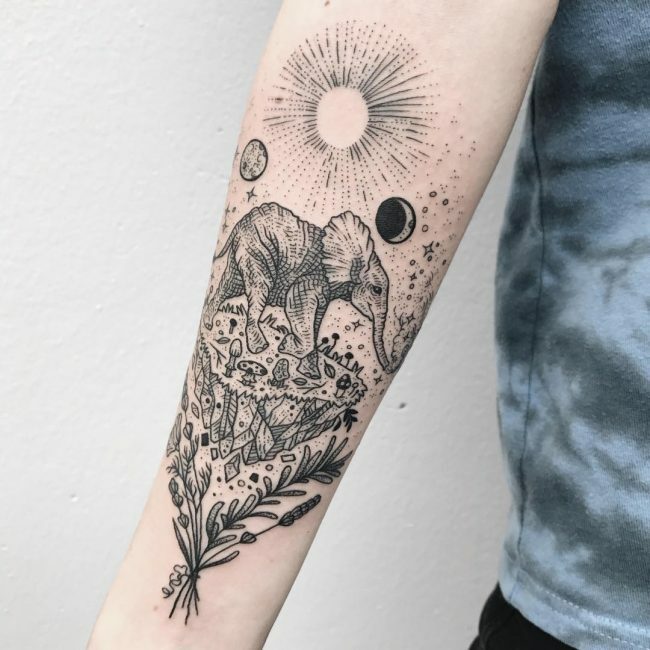 Besides improving aesthetic appearance, this creation of nature has always been referred by humankind as a symbol of peace, love, admiration, friendship, beauty, and passion. 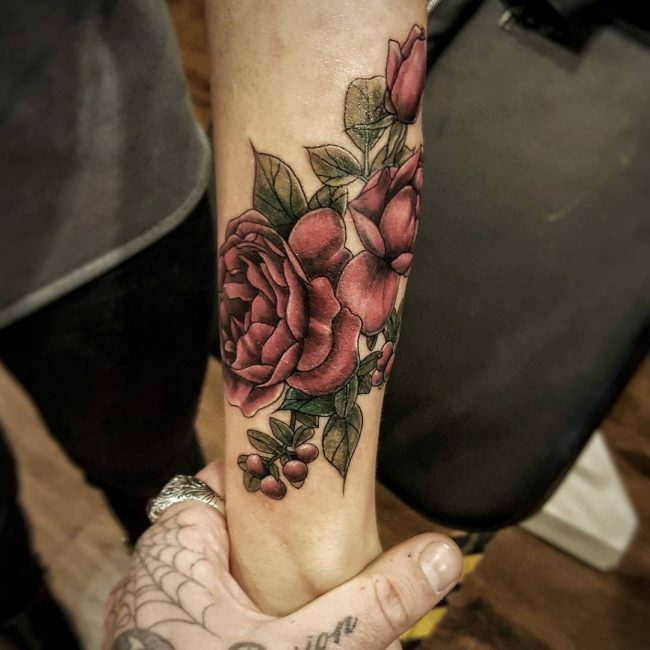 Roses of always held a special place in almost every form of art throughout the different cultures from around the world. 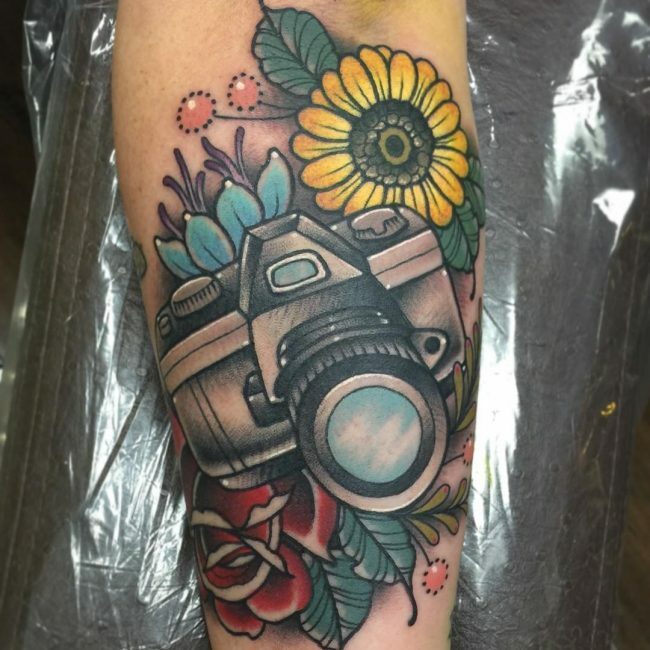 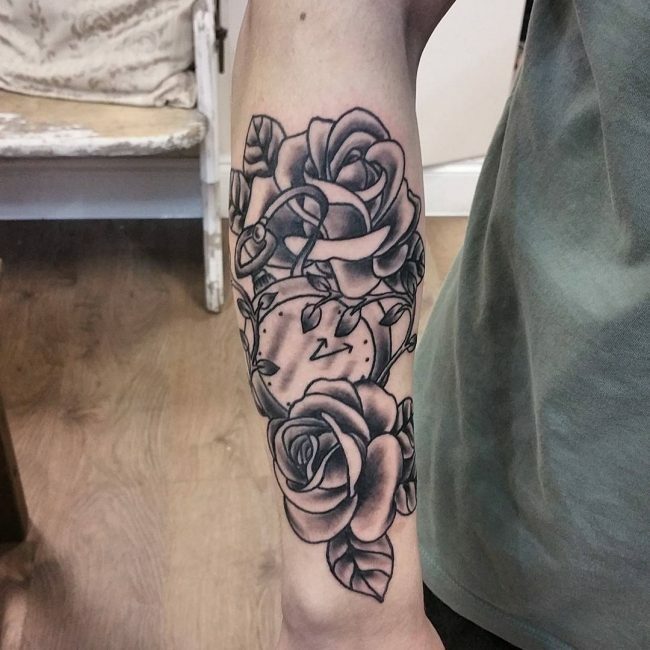 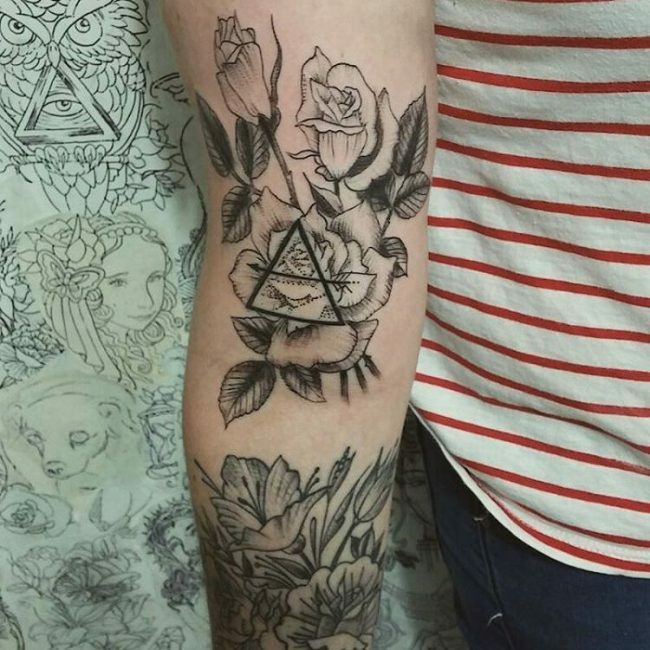 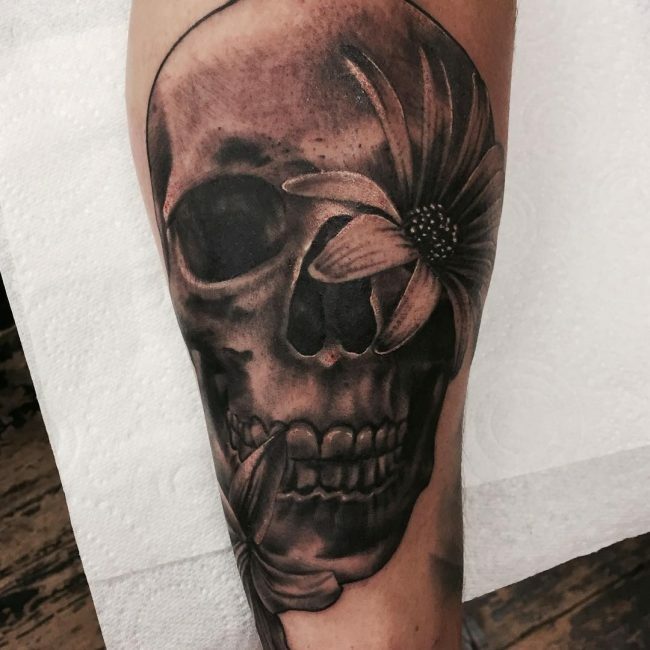 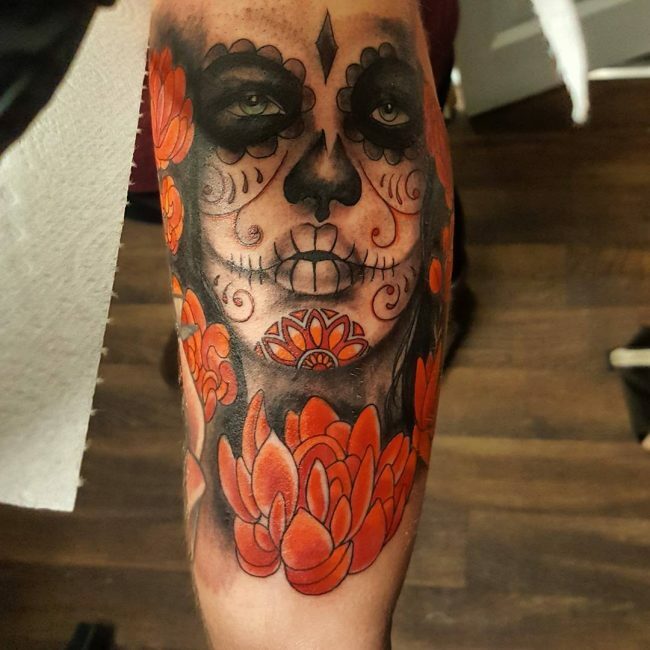 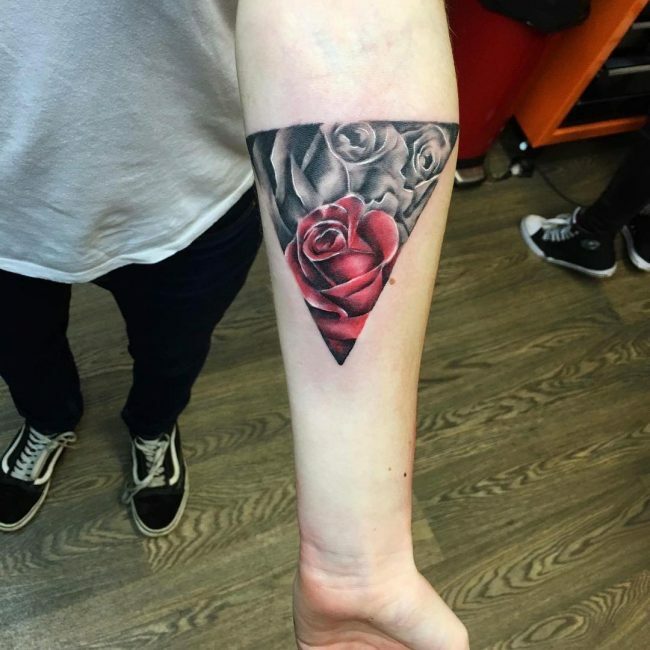 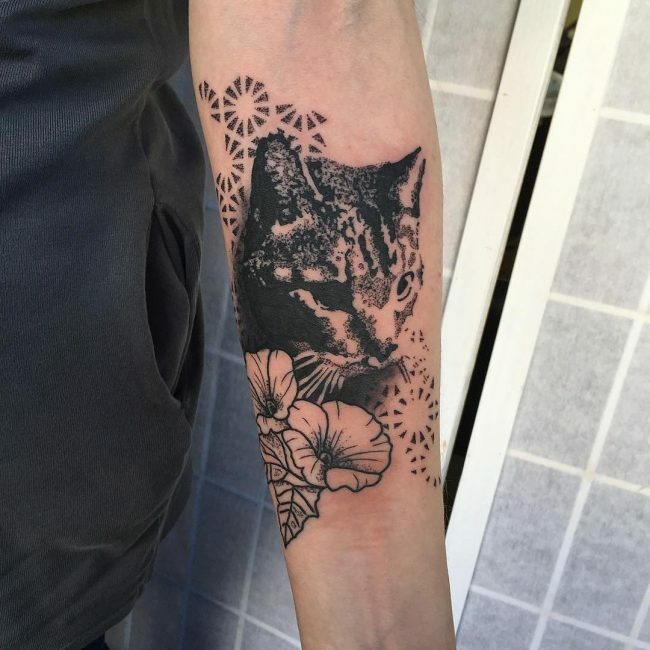 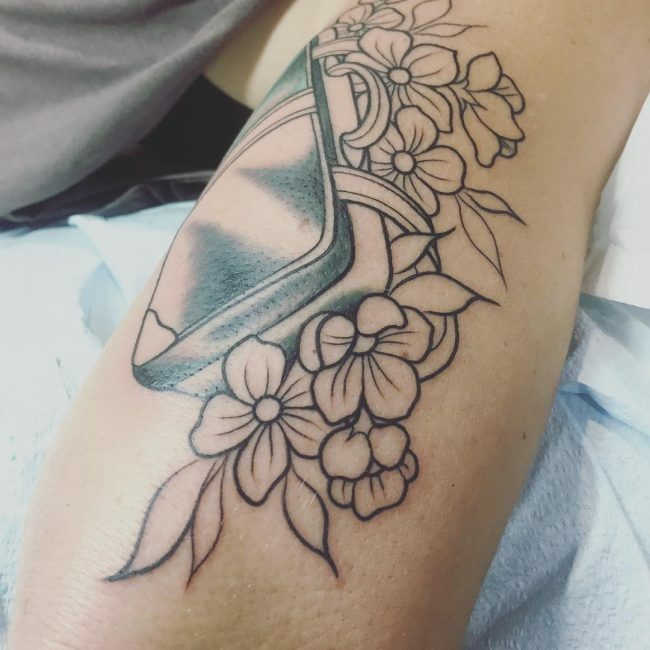 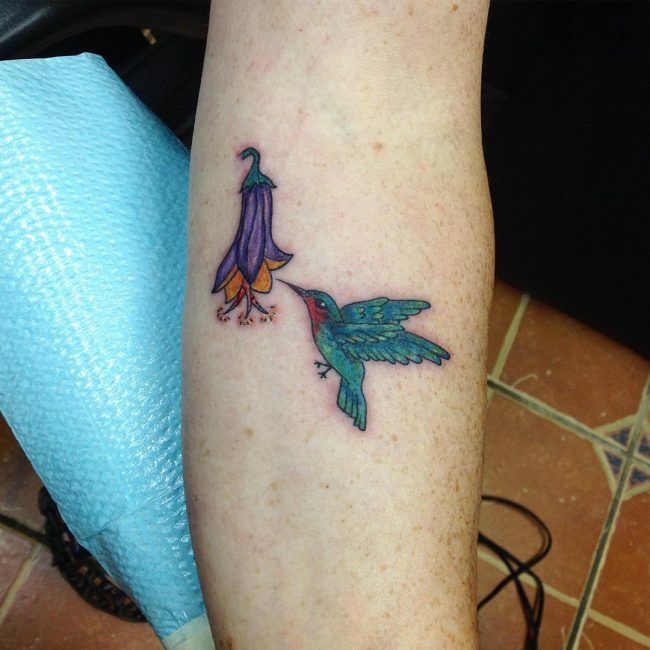 Tattoos of this design have always been a favorite of women, but have recently become more prominent among men too because of the diverse range of combinations of designs one can get from an expert tattoo artist. 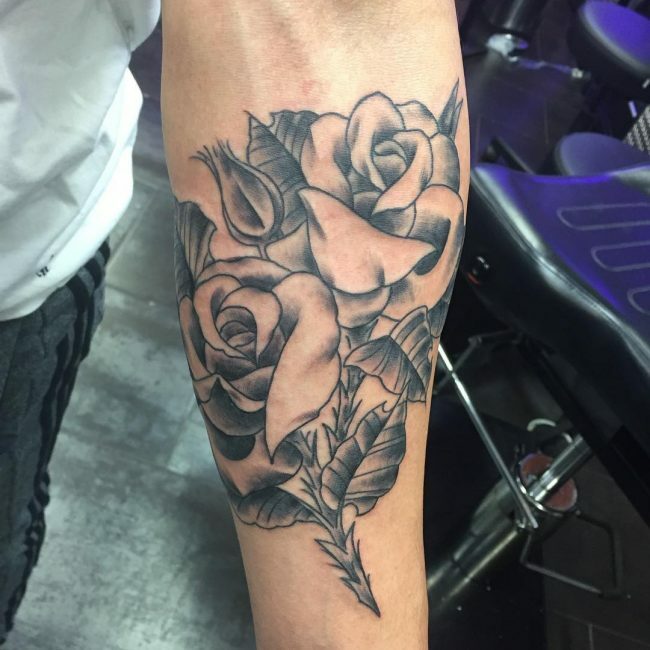 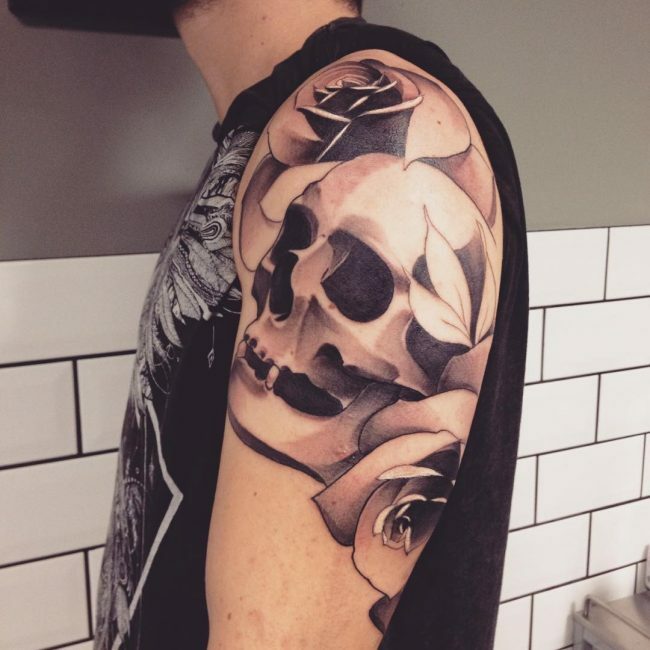 Among men, you’ll mostly find rose floral tattoo designs in three types – Designs with quotes and words, tribal rose designs, and black rose designs. 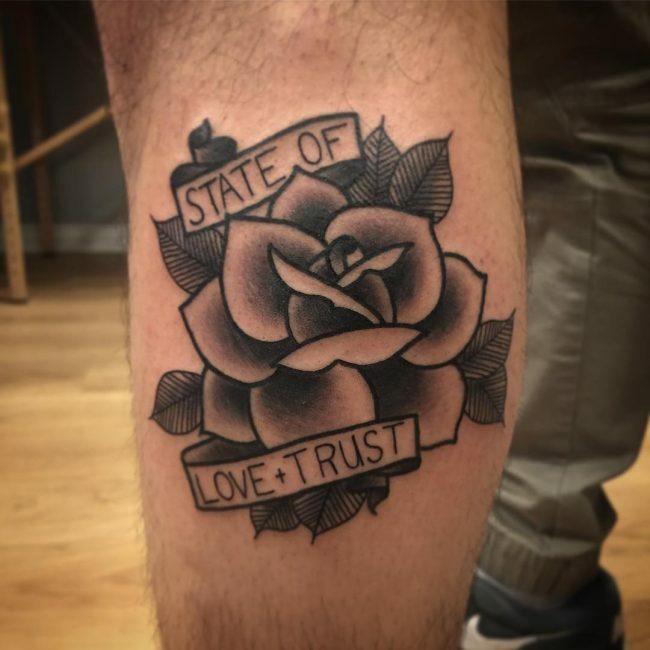 The most common are the roses accompanied by some meaningful quotes and words that may denote something romantic, inspirational, or about the importance of love and friendship in our world. 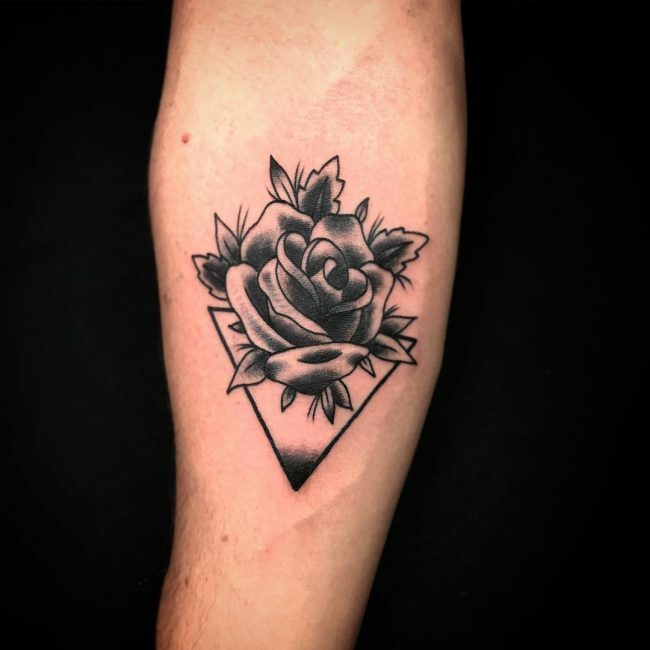 Tribal rose designs are also highly popular among men as they imbue a whole lot of masculinity into the design elements. 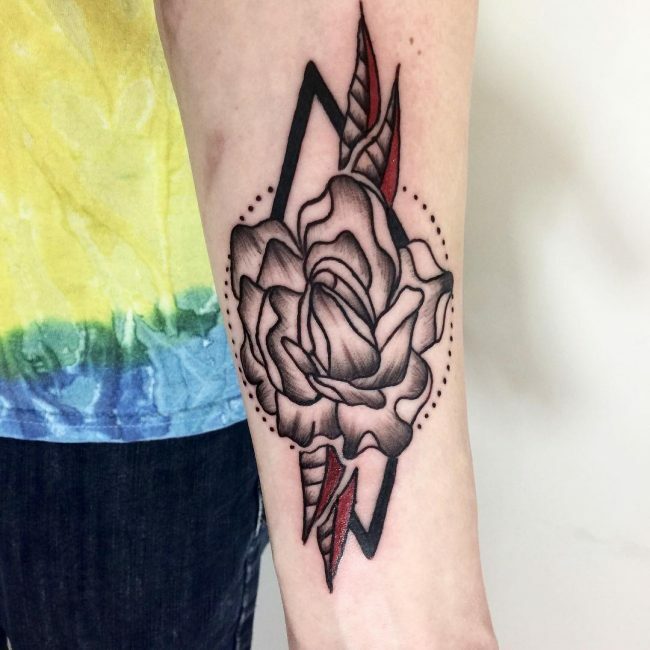 Most of these rose tattoo designs are done in shades of black for men but in no way do they look any less attractive than their colorful counterparts. 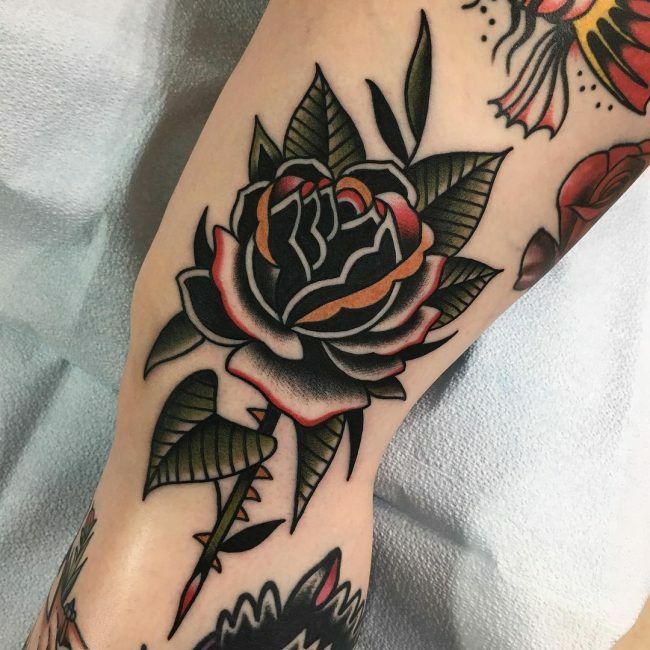 The Black Rose has a value of its own and represents Gothic themes that reflect emotions such as sadness and passion along with the ever so fleeting time of our lives. 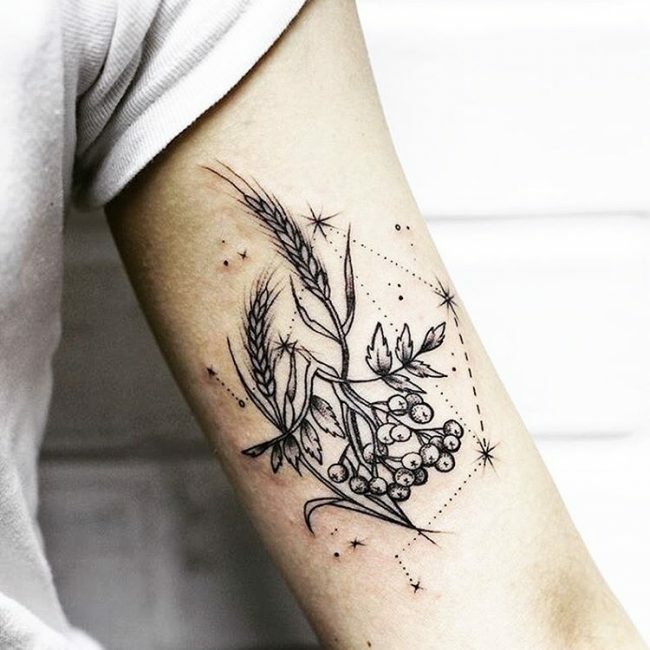 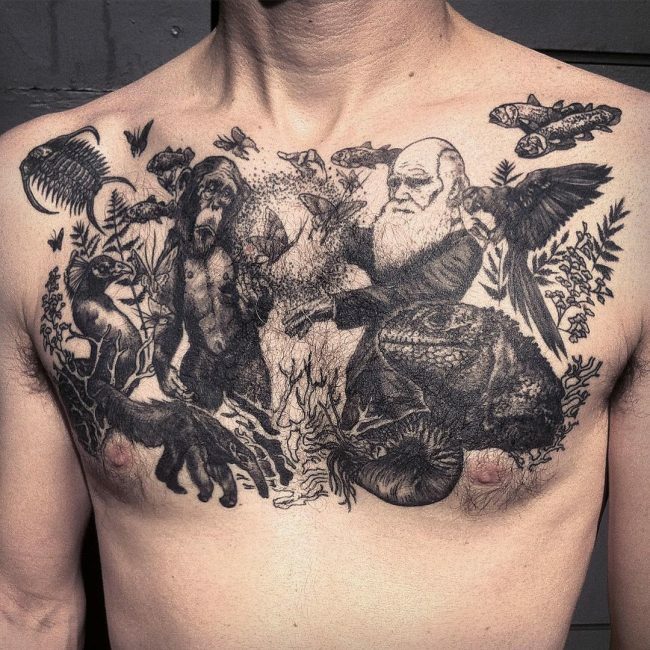 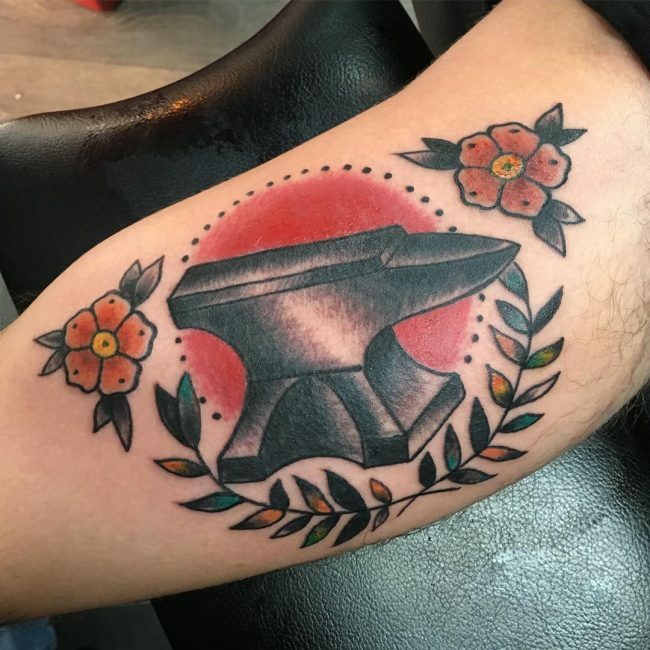 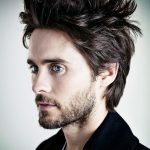 All of these designs are favored by men owing to their deep and profound meaning as well as the unmatched level of aesthetic appeal that they can show off on their bodies. 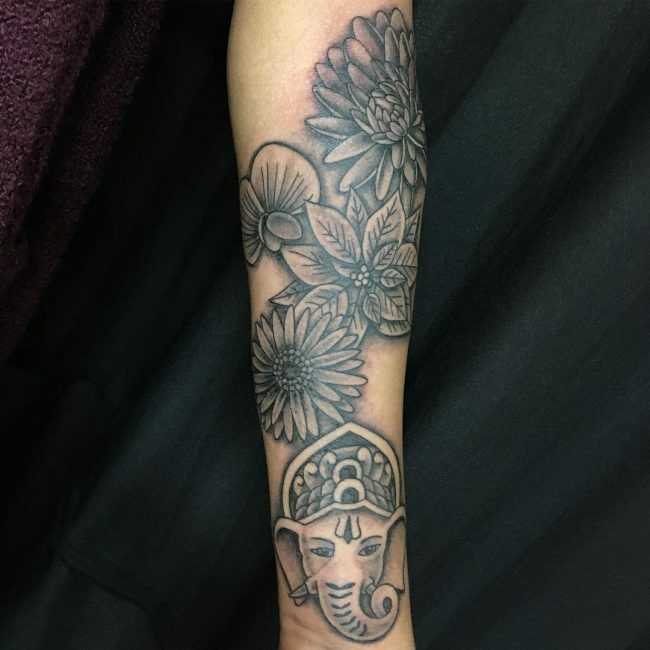 Tattoos of lotus flowers are extremely famous today and hold a significant value in some cultures, especially in the Indian context. 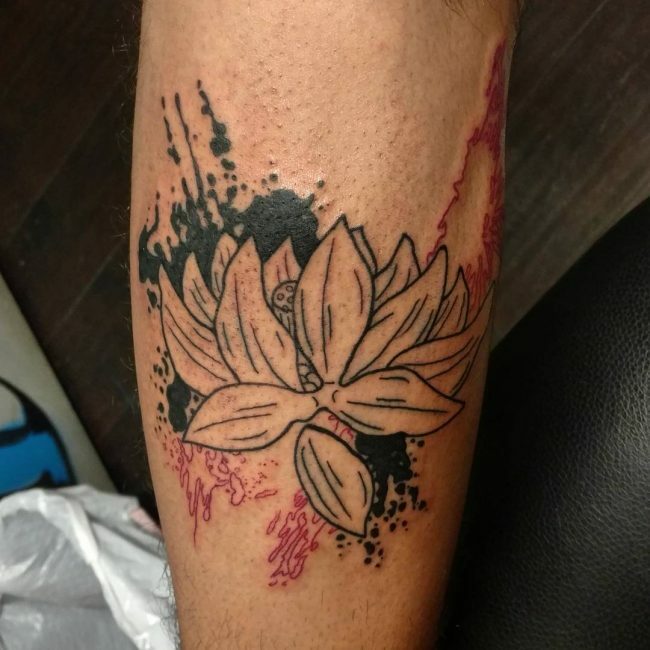 Lotus is one of the most beautiful flowers that grow on local water bodies like small ponds. 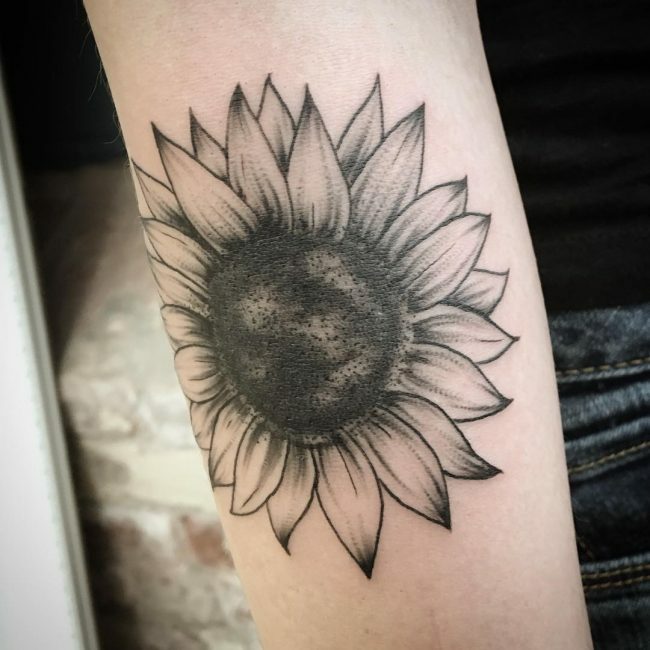 It becomes enlarged on the surface and slants towards the sun. 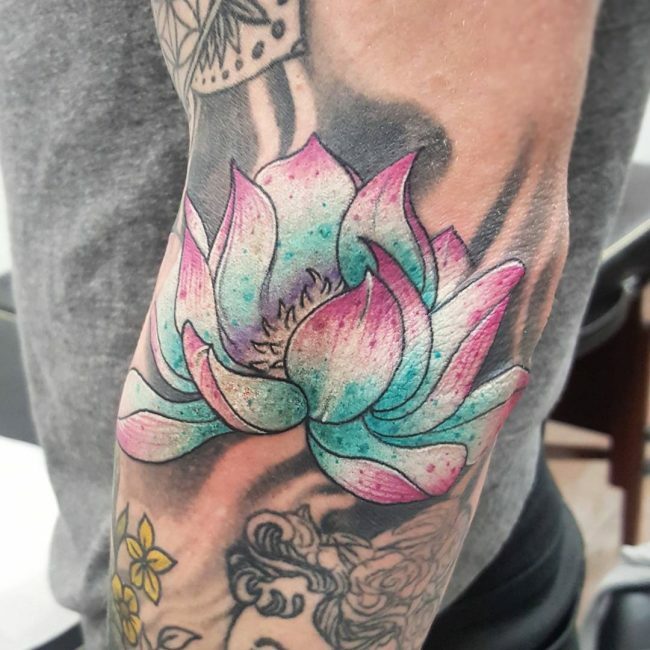 On the surface, Lotus transforms into a beautiful flower when it finally blossoms. 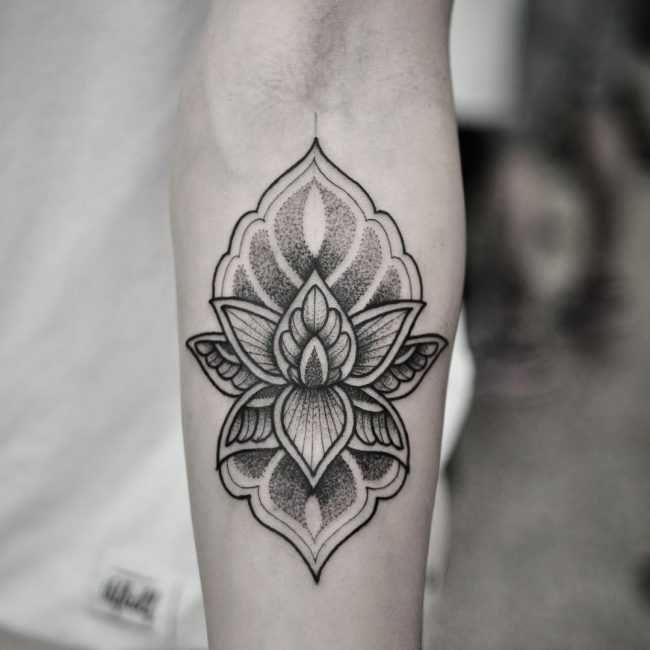 The lotus flower also has a symbolic role in Buddhism as it represents the awakening of the spiritual life. 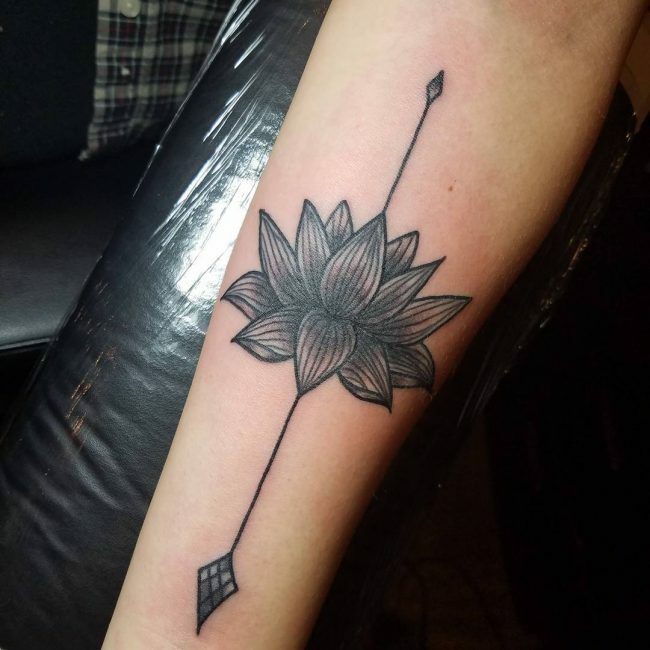 Though nowadays, Lotus is largely seen as a symbol of life. 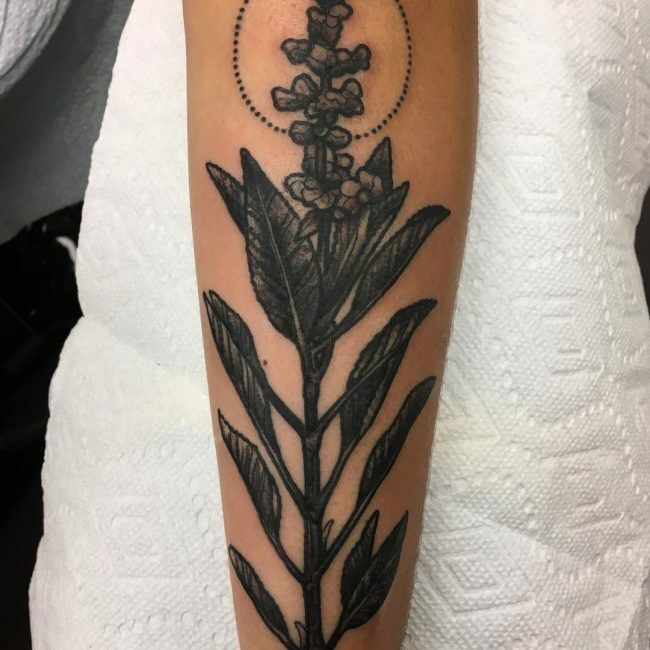 What makes this flower so intending is that it develops in a muddy and dirty area and still blooms to become a beauty that is nothing short of a marvel of Mother Nature. 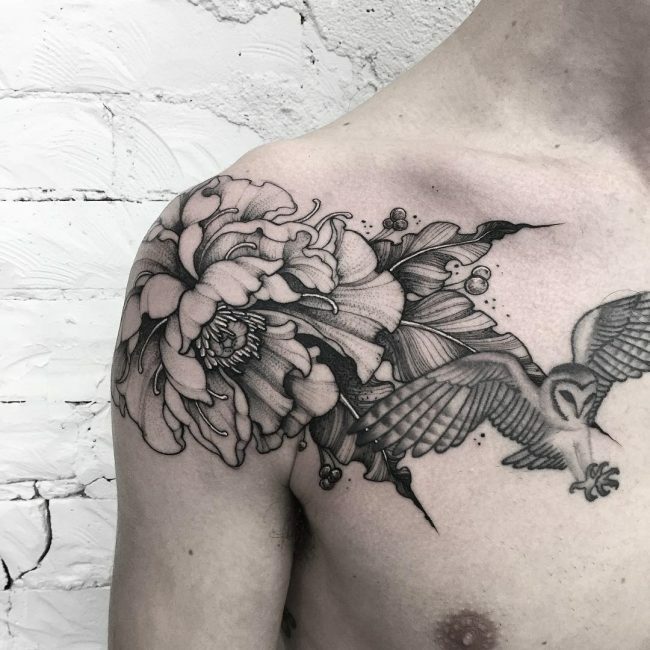 Lotus floral tattoo is popular among men in various shapes and forms, in particular among those who have a story to tell. 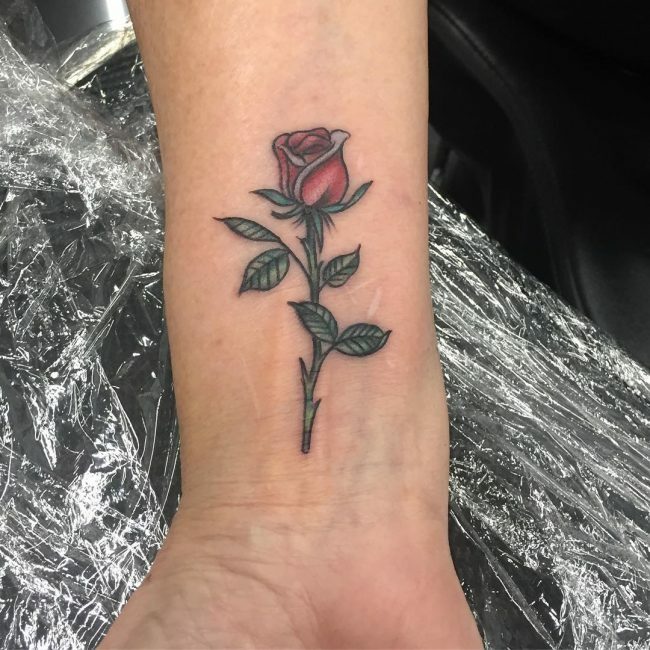 As this flower often represents the ending of hard times and the dawn of a new day, people who feel like they have gone through a lot in their life often get this tattoo inked on their body to portray that they are finally settling down. 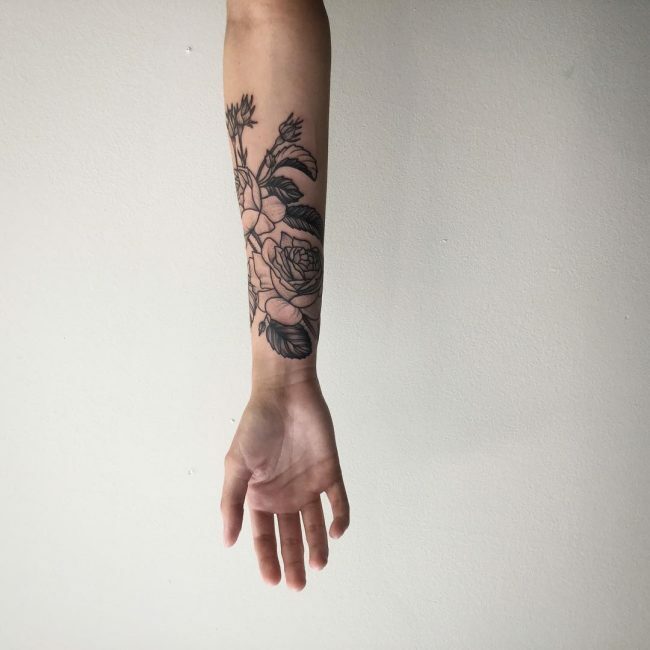 It is as if they have grown from the muddy pond of their life and into a beautiful flower that has no inhibitions and expectations. 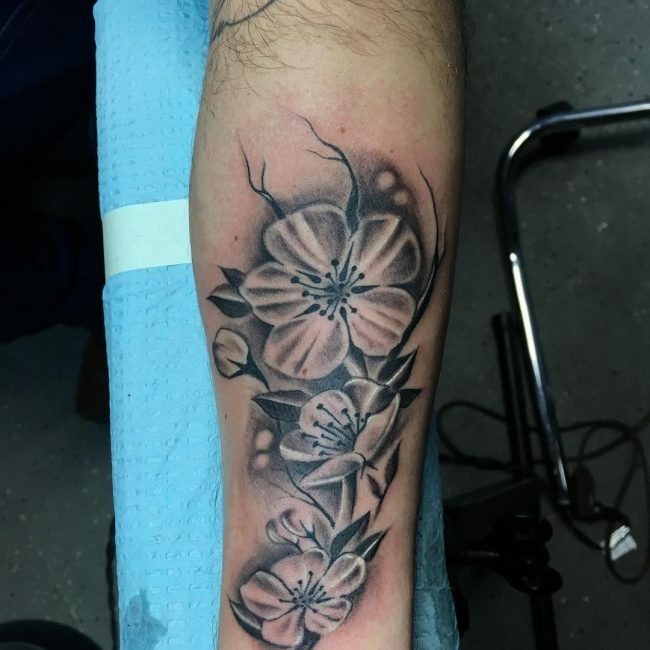 Cherry Blossom: It is the most common in the Japanese style of tattooing and is often depicted as well is getting carried on by the wind. 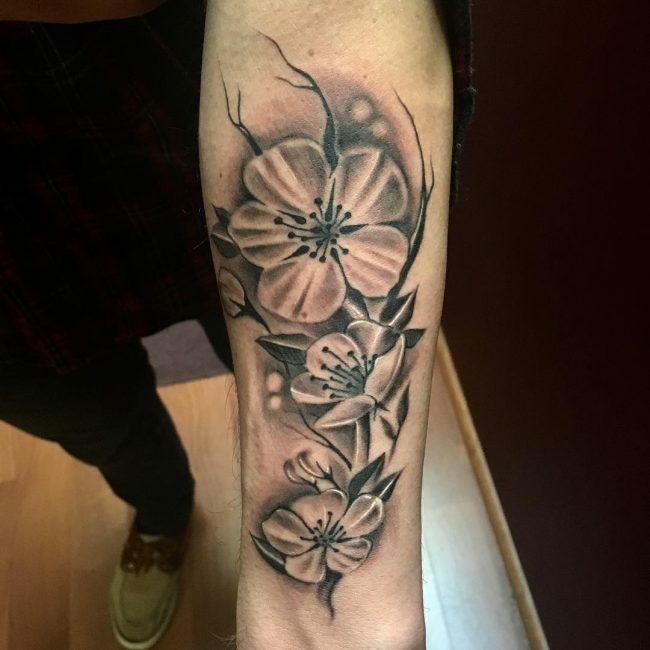 The cherry blossom signifies a unique trait of the Japanese people as they call it “Mono no aware” or empathy towards things. 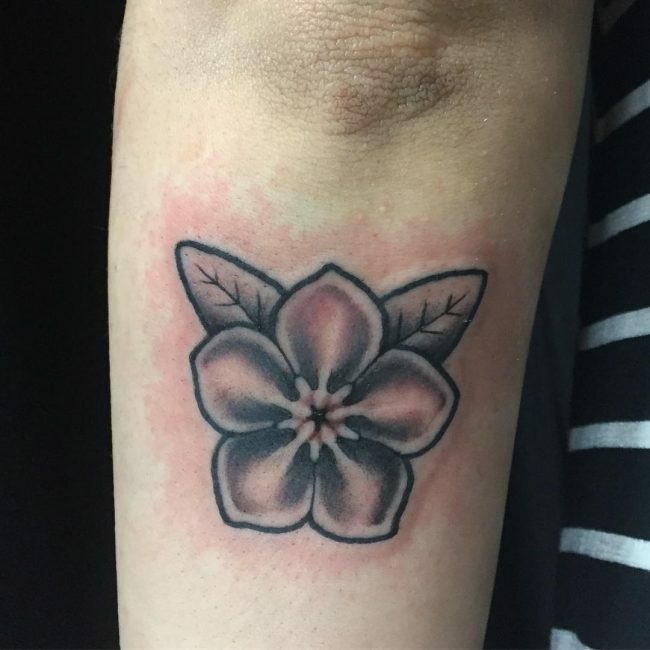 Cherry blossoms, despite being delicate and beautiful, don’t have long bloom periods. 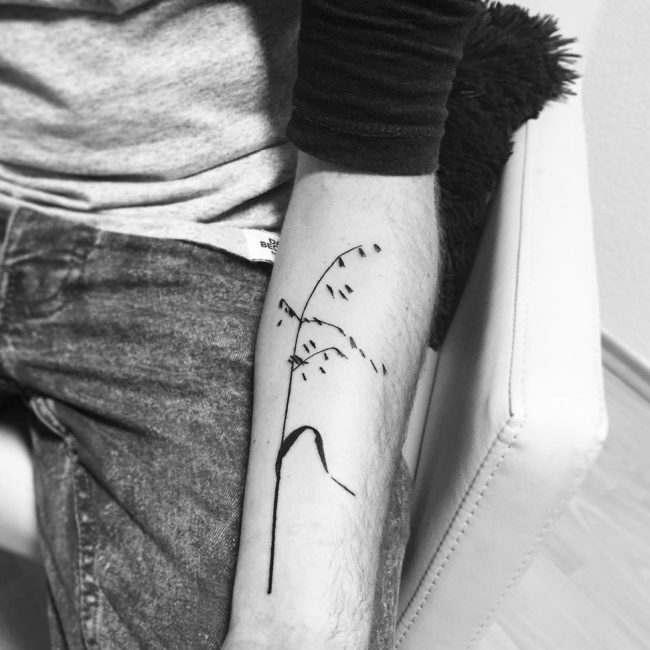 The blossoms get blown from the trees even by the slightest of winds, which means their beauty is fast to depreciate. 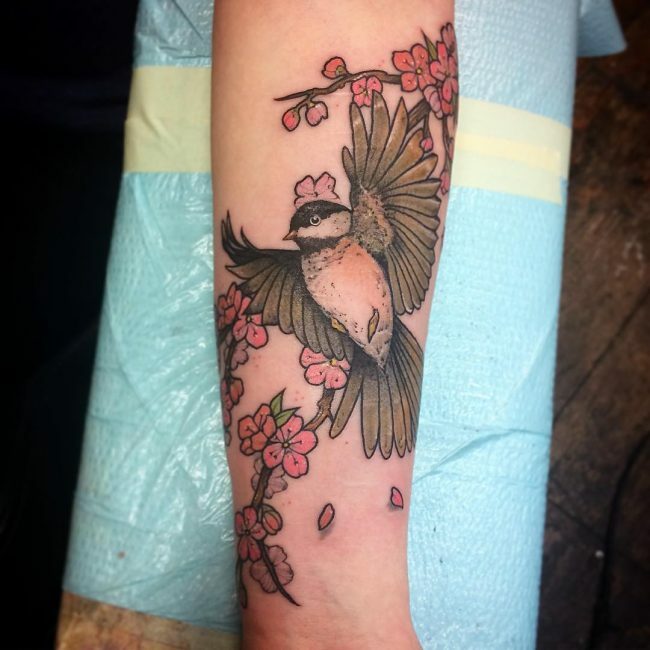 The Japanese people see this trait of the cherry blossom as a metaphor for life that echoes their own fading mortality. 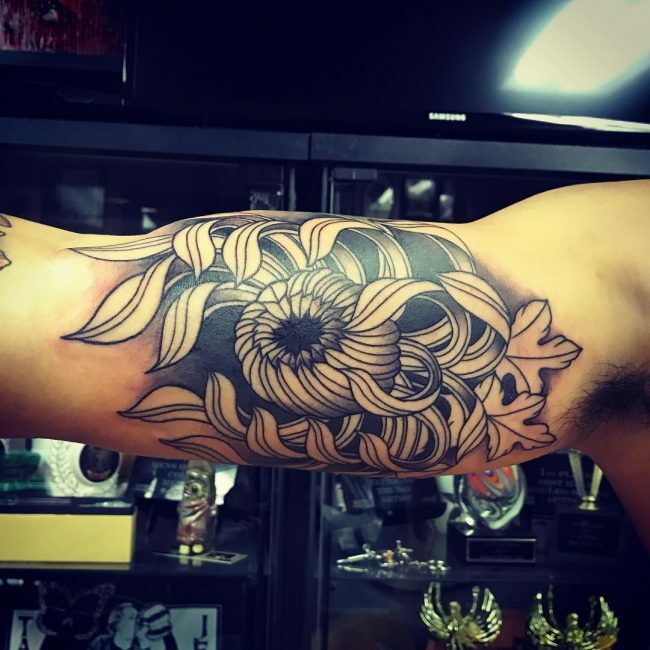 Chrysanthemum: This is another tattoo art commonly associated with Japanese culture. 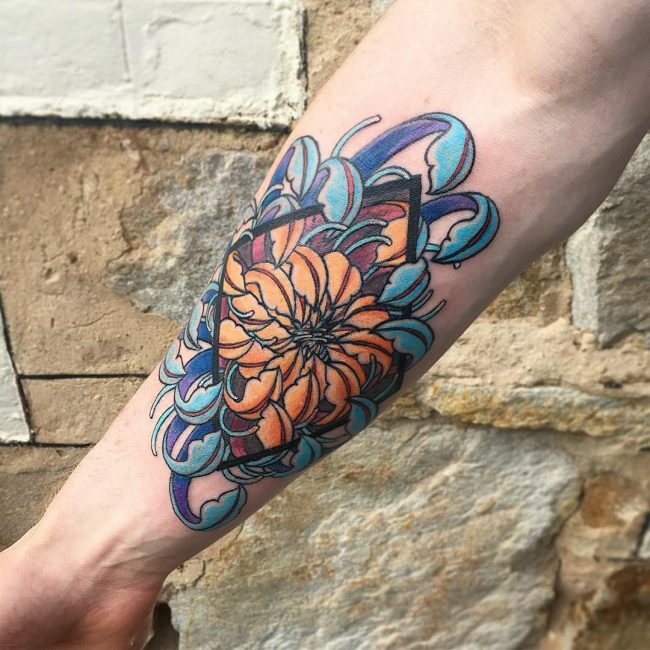 In Japan, this flower is connected with the value of royalty, which is why the Japanese emperor used to set on a throne titled as the Chrysanthemum Throne. 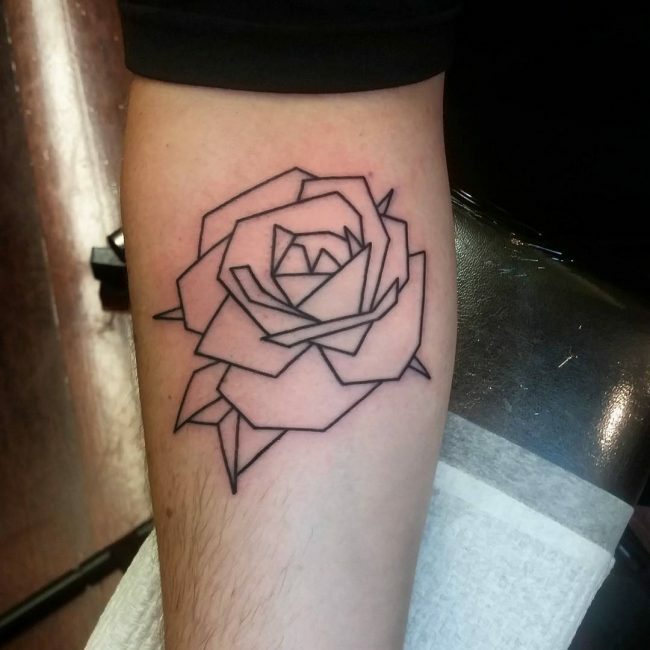 In some interpretations, this flower represents perfection, and in some others, it means submission to a higher power. 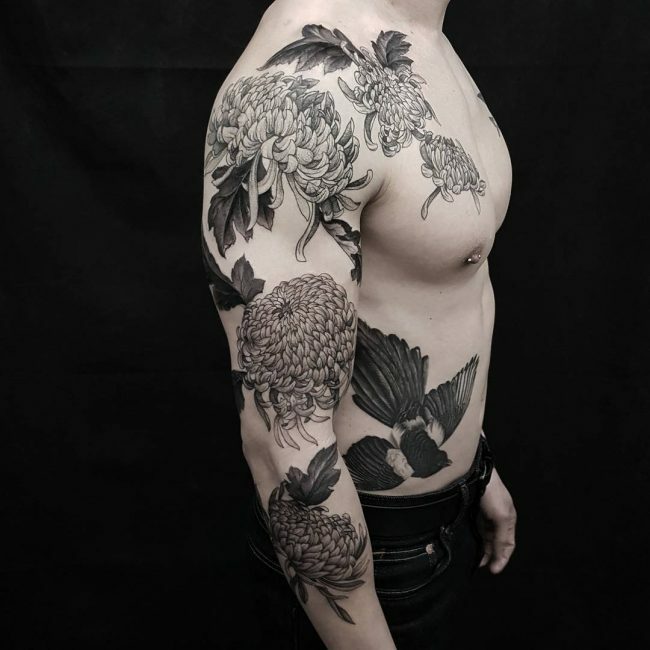 Because of the fact the chrysanthemum blooms during autumn, it makes a symbolic representation of transitioning from life to death and vice versa. 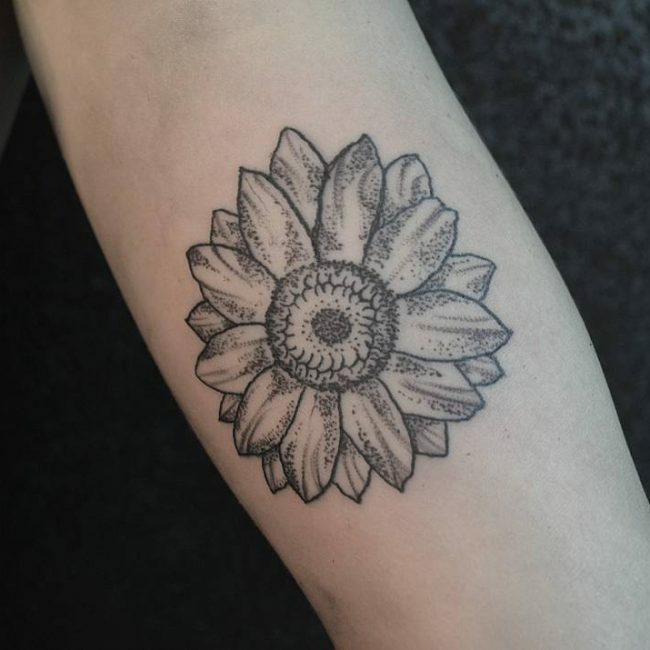 In Chinese culture, however, the chrysanthemum denotes goodwill and good wishes. 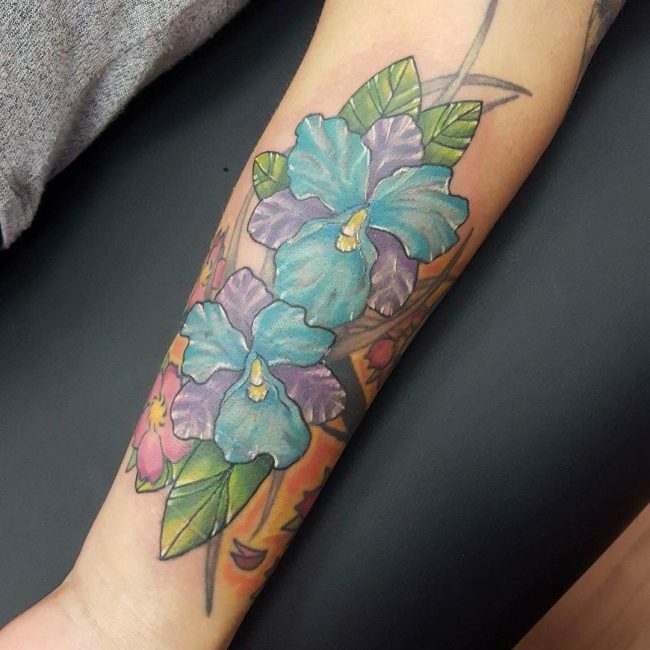 Orchid: This flower holds many meanings in numerous cultures, and its tattoo design is popular among men from all over the world. 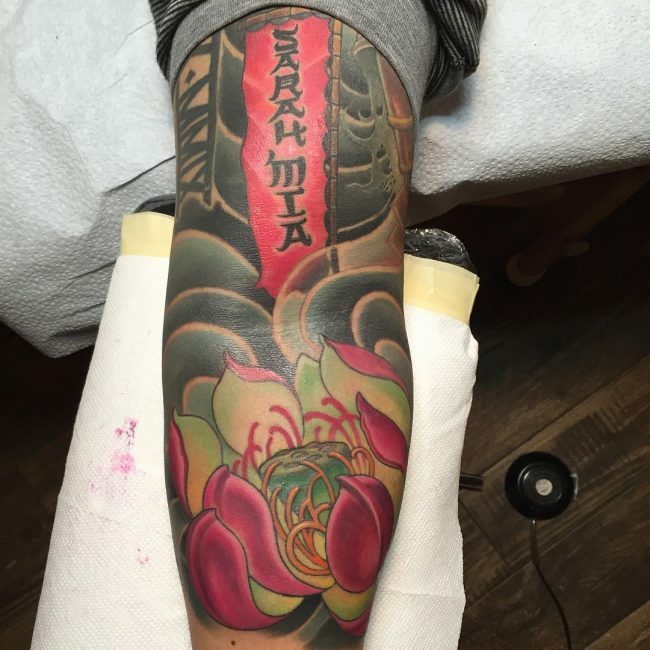 To Japanese warriors, the orchid stood as a symbolism of bravery, power, and strength. 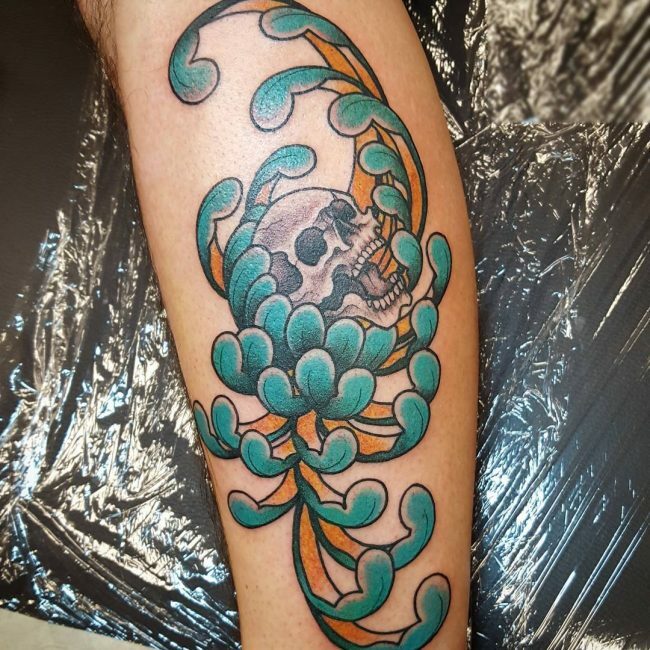 In the Chinese culture, the orchid is tied to fertility, prosperity, and the refinement. 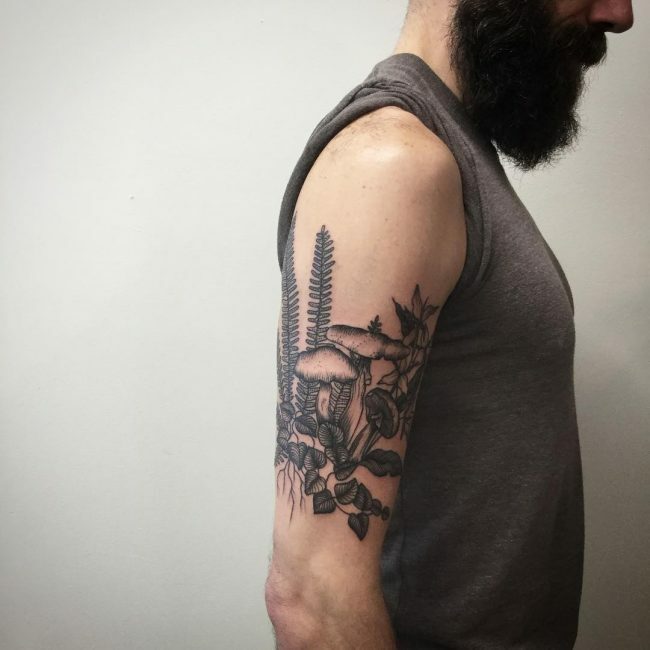 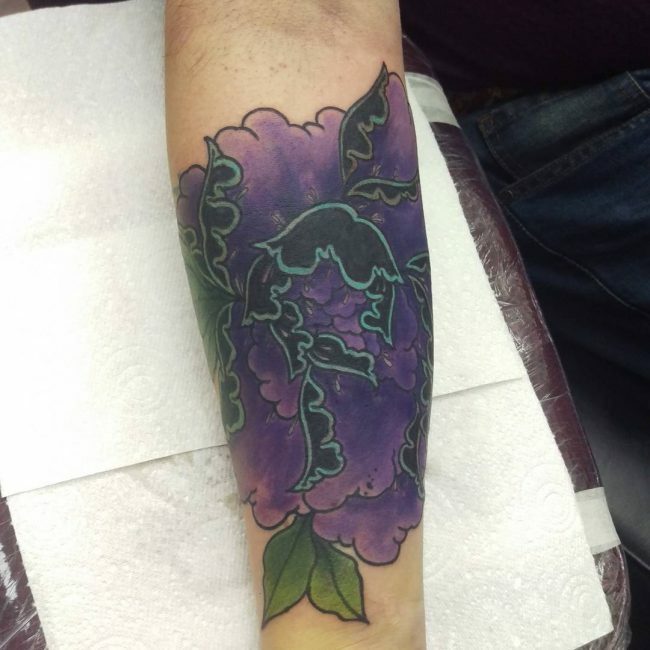 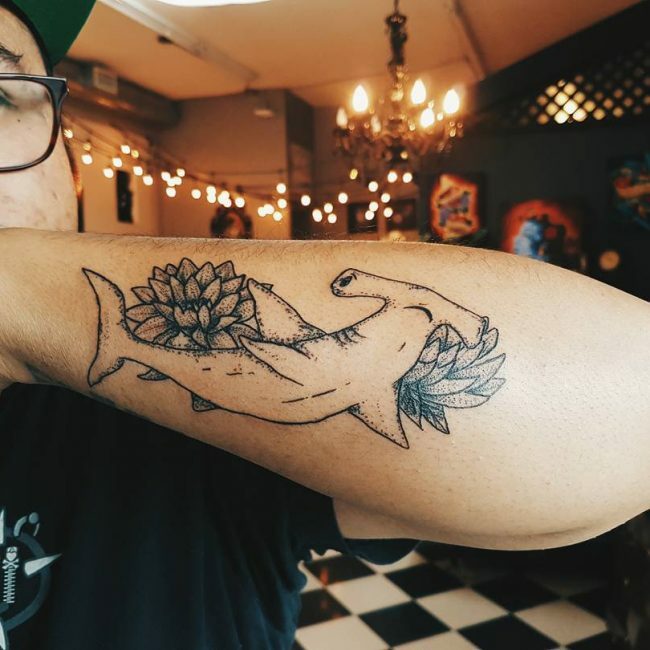 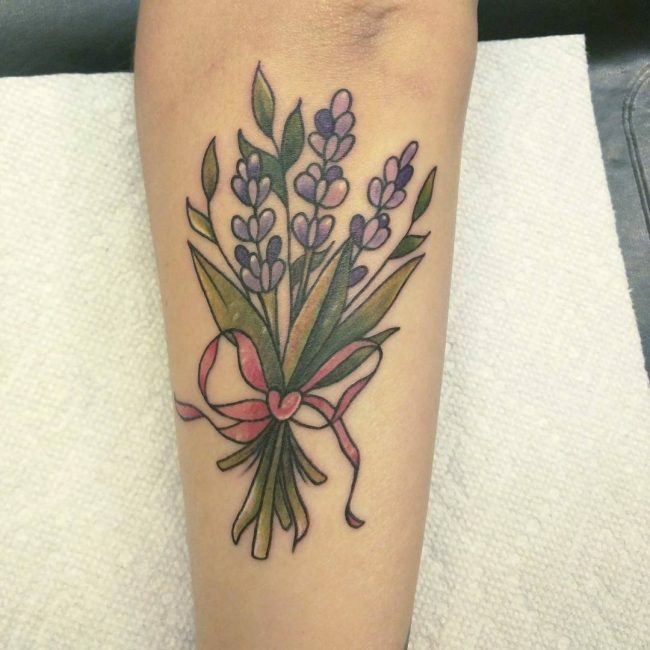 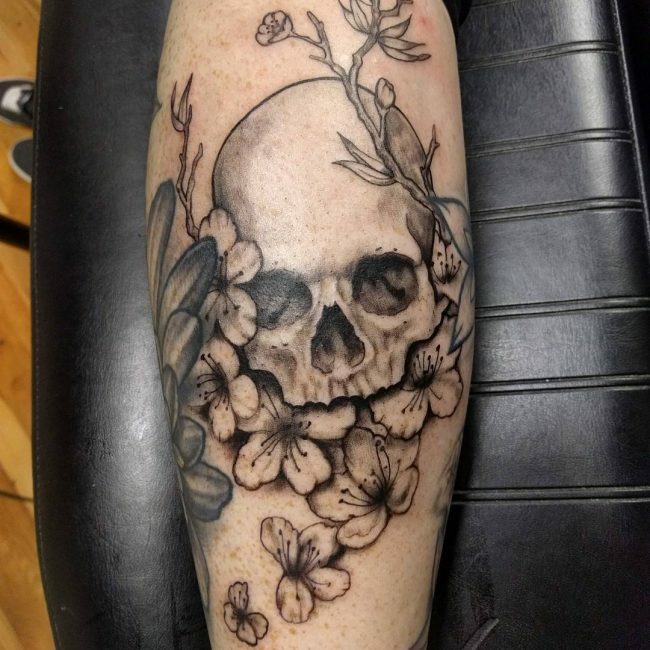 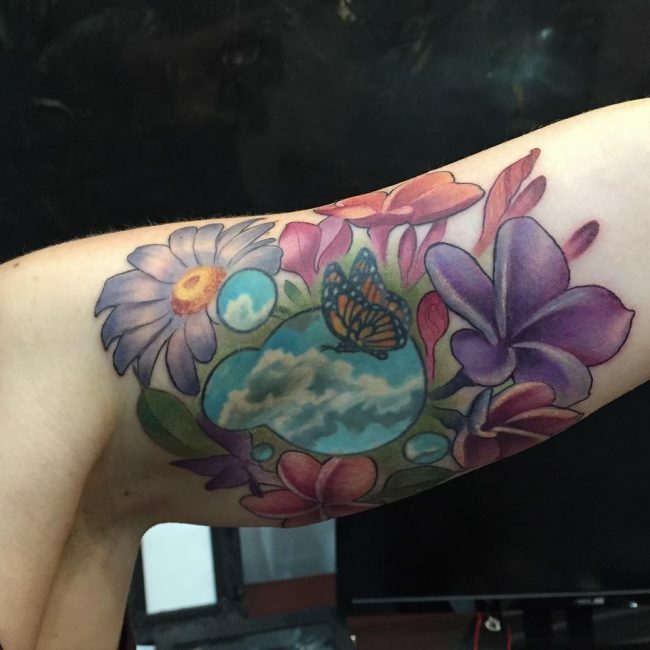 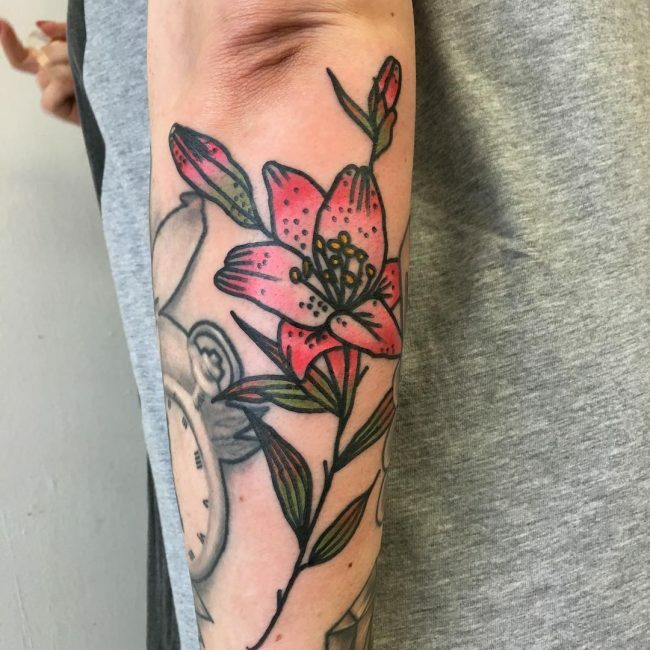 It is estimated that there are over 25,000 different varieties of orchid flowers, so the chances of you finding the right one for a floral tattoo design may be easier or harder than what you may have expected. 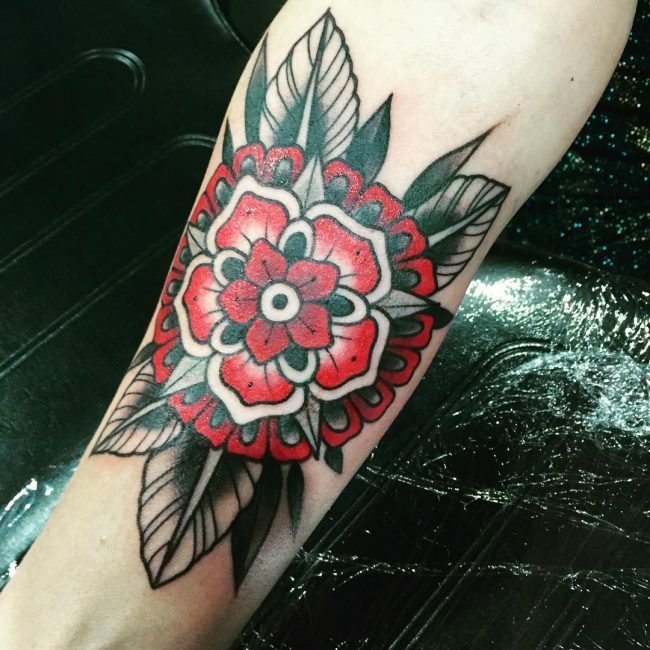 Apart from the physical beauty of this flower, the cultural and social significance are also reasons why it is as popular as tattoos. 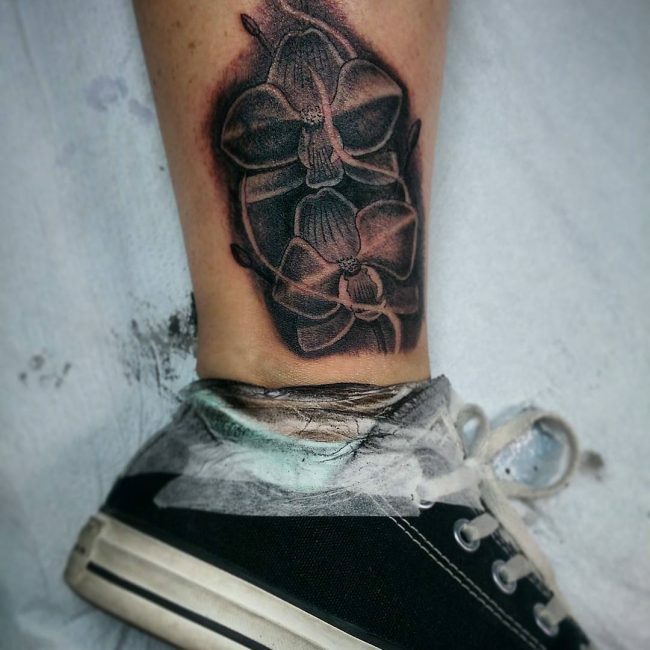 Lily: the Lily is a very popular flower worldwide and signifies a whole lot of different things in various cultures. 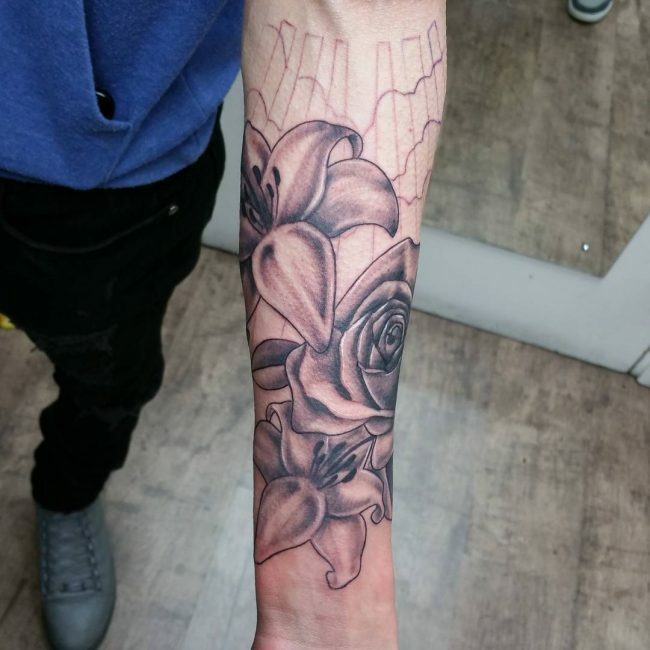 Initially, the meaning of lilies can be traced back to the ancient Greece where white lily and Madonna lily grew in abundance. 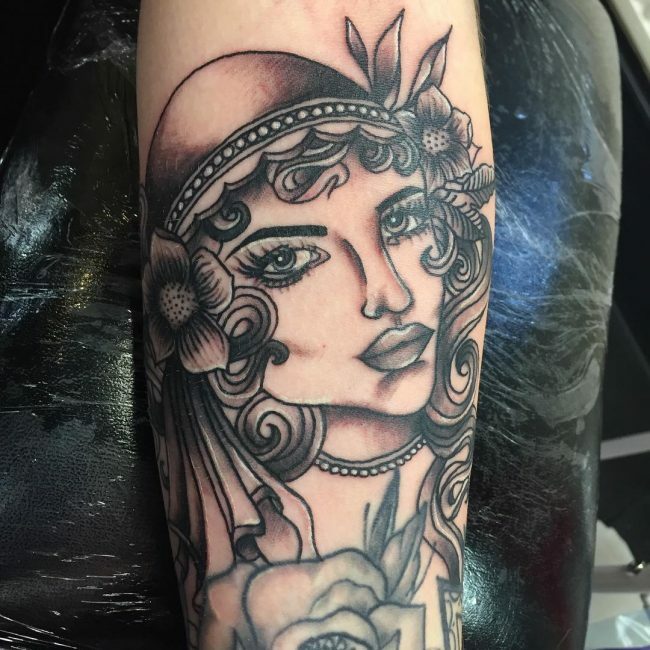 The Greeks believed that this flower sprang from the milk of Hera, who is the queen of the gods. 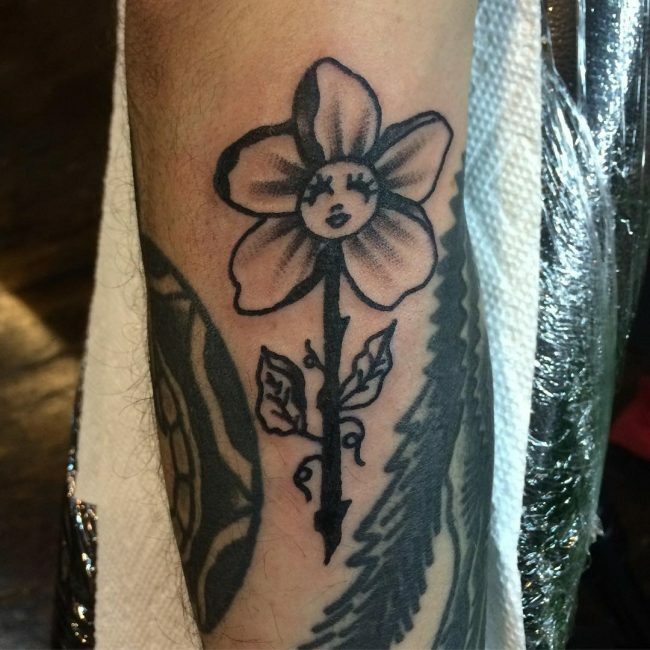 This is precisely the reason why Lily in Greece represents divine femininity. 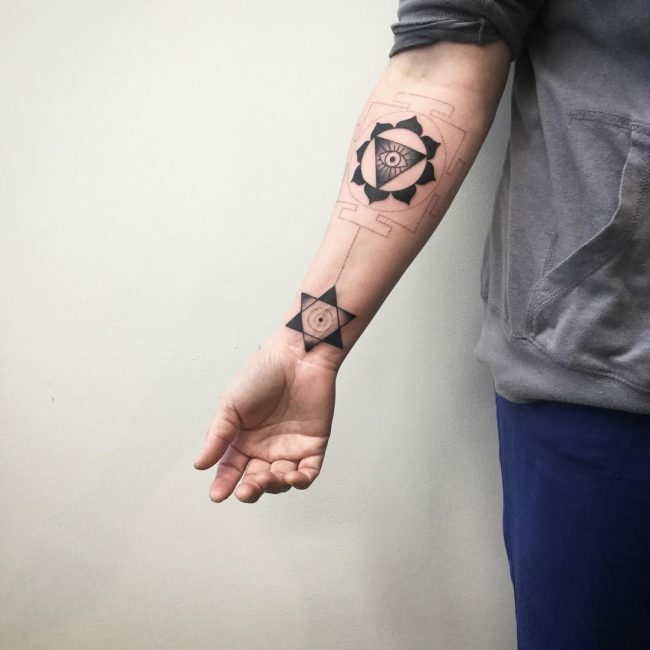 It also commonly signifies perfection, virtue, and purity. 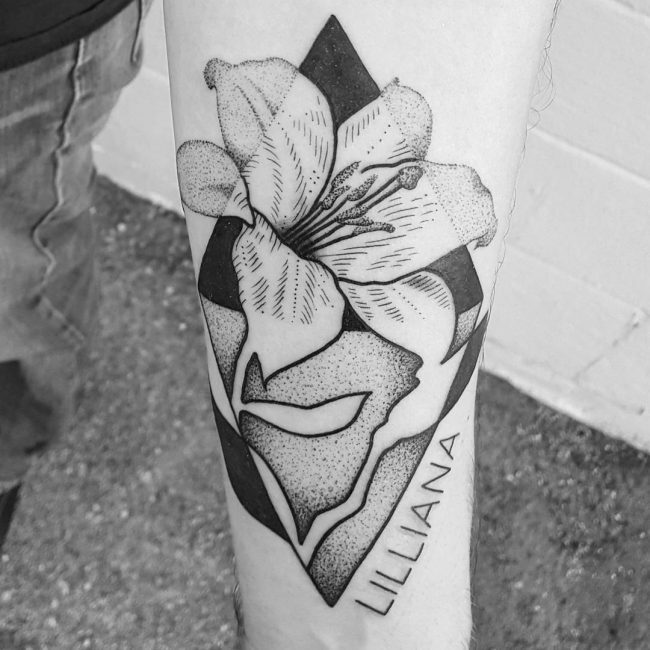 Most lily tattoos are open to interpretation and can be designed to mean anything that you hold dear. 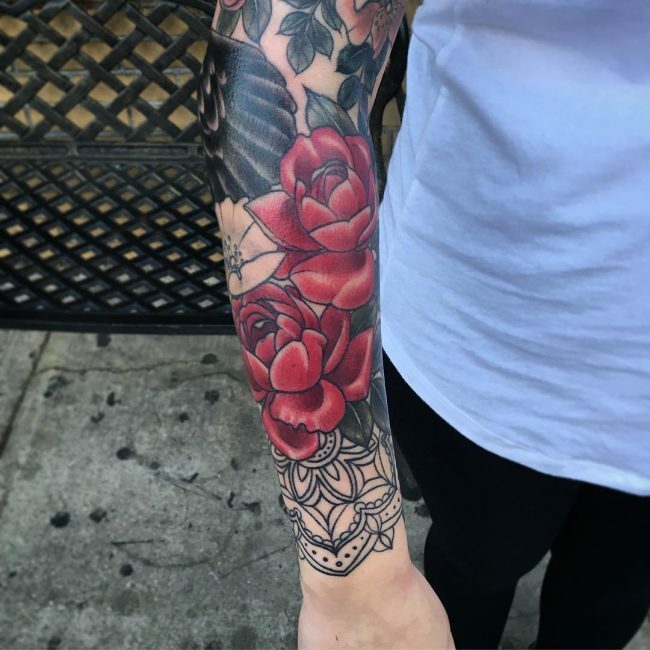 85 Incredible Full Sleeve Tattoo Ideas – Which One is Right For You?